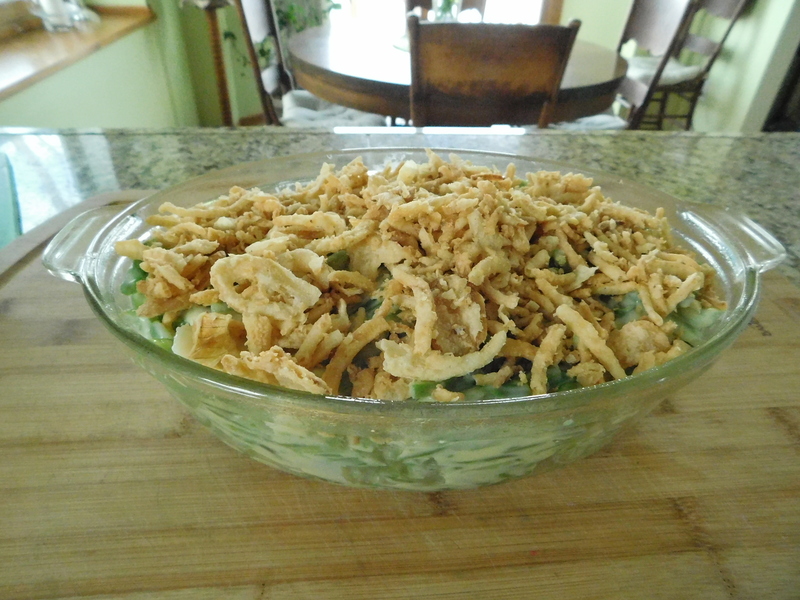 Today’s recipe for Green Bean Casserole is a bit different from the green bean casserole that we all know and love. Grandma wrote this one down in a book of handwritten recipes that the family gave to my sister years ago. 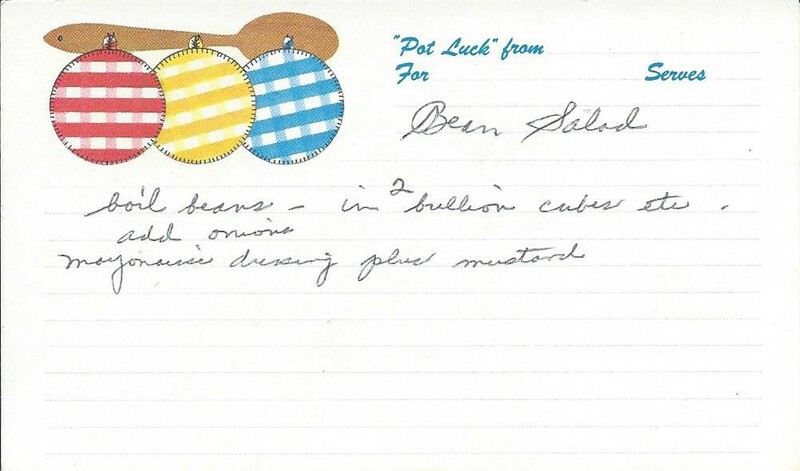 There was also a written down recipe for the usual green bean casserole, and this one was written underneath. 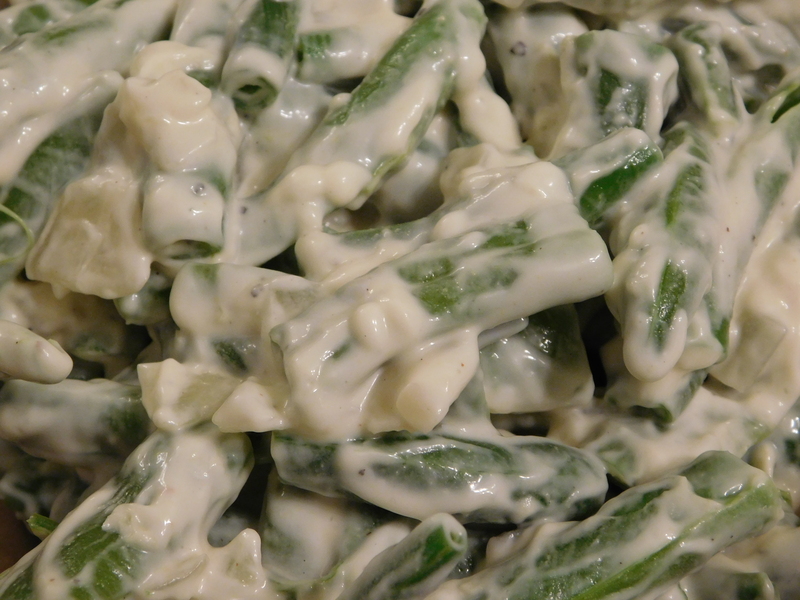 Technically, this recipe would be named Green Bean Casserole #2, but since I haven’t shared the usual kind of green bean casserole yet, I’m going to go ahead and name this one Green Bean Casserole. The recipe is short, sweet, and to the point. It’s also delicious and just a little bit different from the usual recipe. There aren’t a lot of ingredients in this one. That’s what makes it so great. It fits the criteria – quick, simple, and delicious. Make sure to cook the beans until they’re tender. I wasn’t thinking about how they wouldn’t really be cooking in the oven. They are only in the oven to warm through and crisp the French fried onions on top. 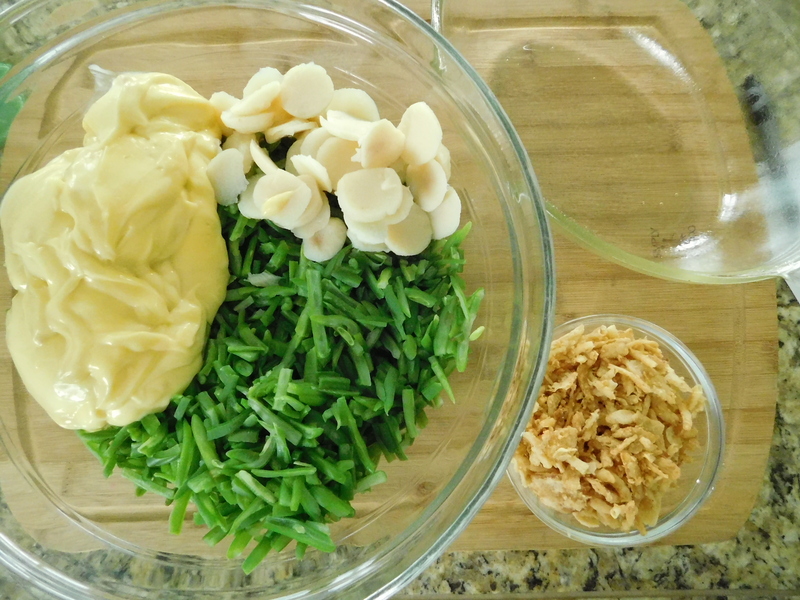 This is a great side dish that will be delicious with anything. How can you go wrong with something that has French fried onions on top? I would make more things with these onions on, but I can’t stop snitching them from the top of the dish! Love those things. 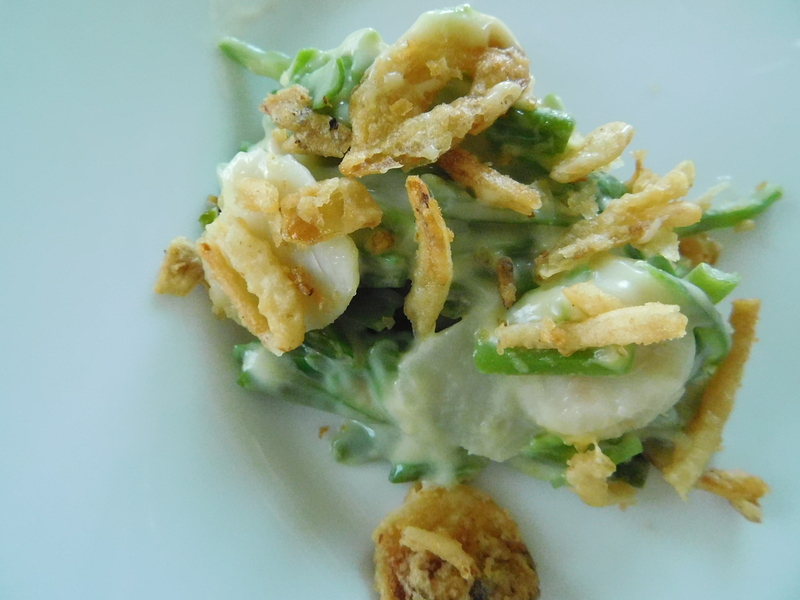 This Green Bean Casserole is a little bit different, but quite a bit delicious! 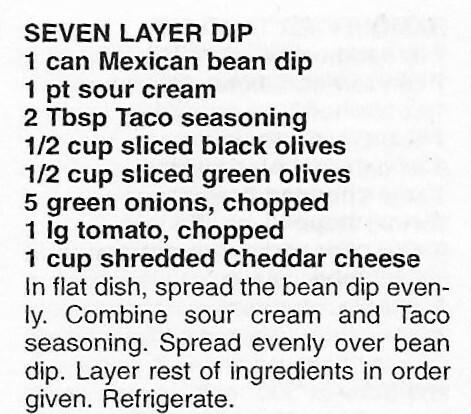 I found this recipe for Seven Layer Dip in one of Grandma’s church cookbooks, and guess who had submitted it? My mom! I kind of think she originally got this recipe from me, but oh well, it’s a good one none the less! This is another one of those that we have for a light lunch or dinner sometimes when the weather is tooooo warm and we don’t feel much like starting the oven or the grill. 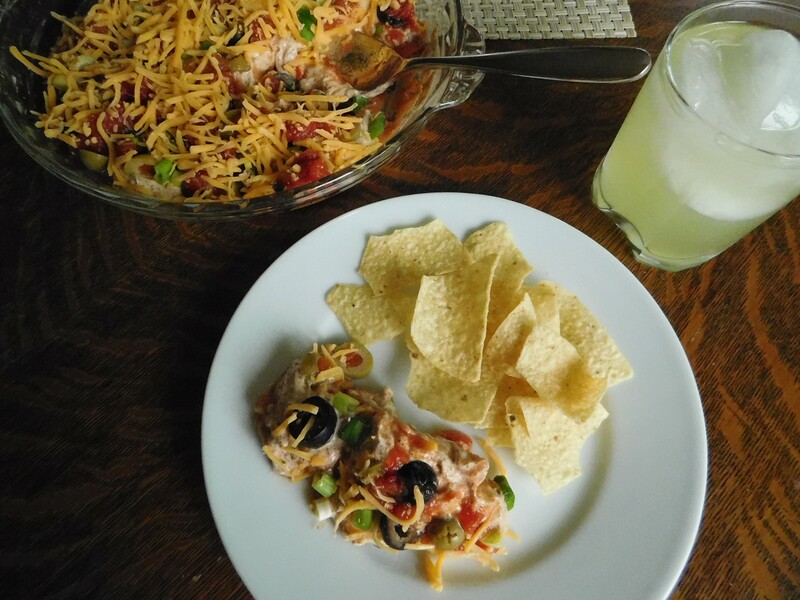 Seven Layer Dip is similar to The Easiest Nachos Ever and goes perfectly with Julie’s Margaritas! Seriously, I could eat this whole batch of dip by myself. Not even kidding. Wow – I love this stuff. Spread on top of beans. Can make ahead and keep in refrigerator overnight. I used a deep dish pie plate for this, but you could use a quiche plate or even a small cake pan if you need to. Sometimes I use the taco seasoning, sometimes I leave the sour cream plain. Just depends on how I’m feeling that day. 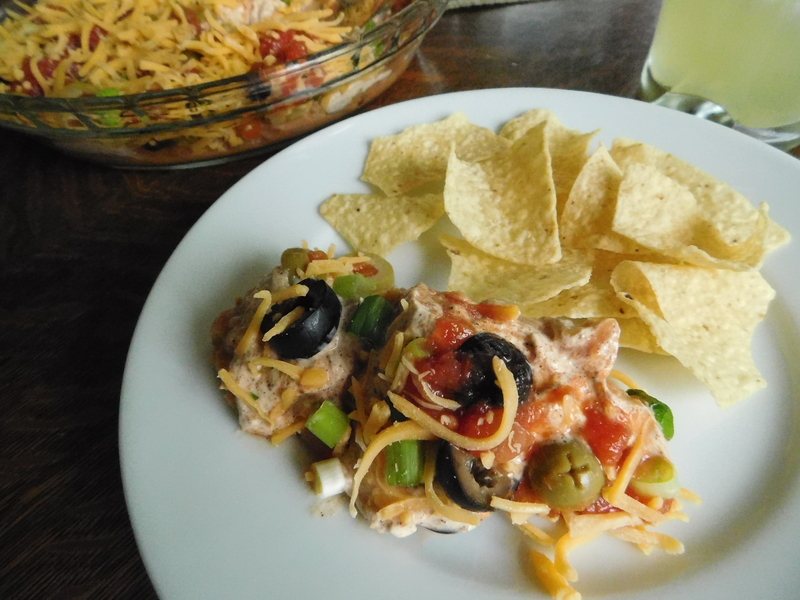 Full disclosure – I don’t really measure anything when making this dip. I know that will come as a shock to my family (no it won’t). I use the can of refried beans and then about a cup of sour cream, but after that all bets are off. I just put in what I know my family likes. 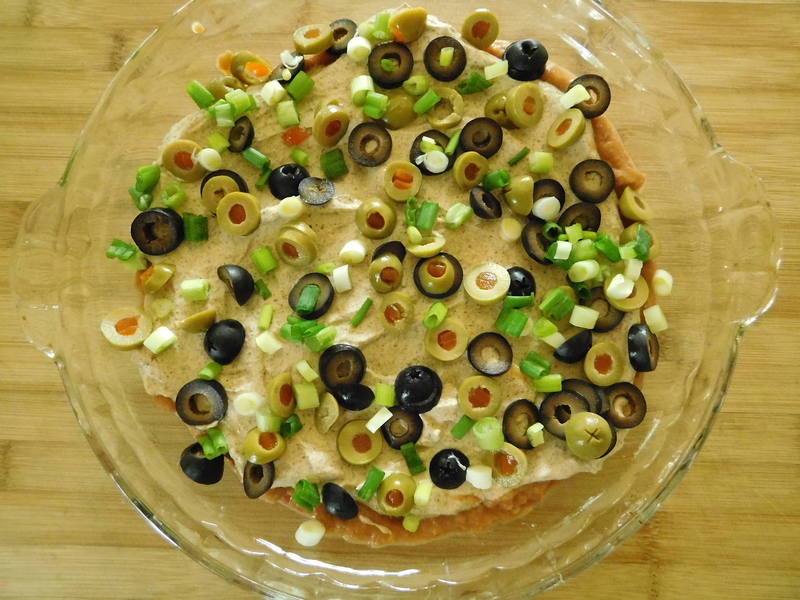 I usually don’t use green olives because my family goes crazy for black olives. I only used two green onions in here because instead of a tomato, I usually use salsa and it has some more onion in it and some in our family don’t especially care for onions. They boys in the family like more spice, so sometimes we add jalapeno or hot salsa. You see how this goes. This dip is so pretty and so great for a hot summer day. Don’t forget Julie’s Margaritas! Perfect! 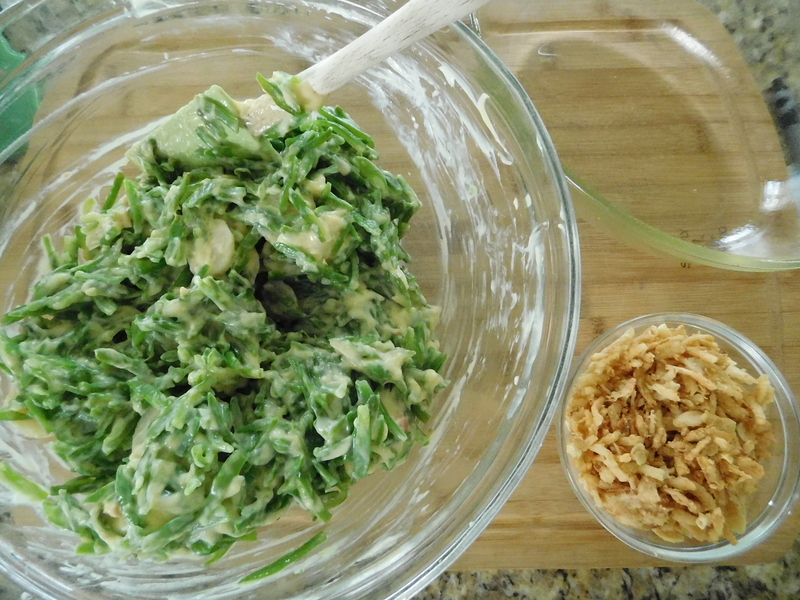 You will absolutely love this dip. There is ample opportunity for more margaritas than normal – salty olives, salty chips, salted rim on the margaritas. Heaven. 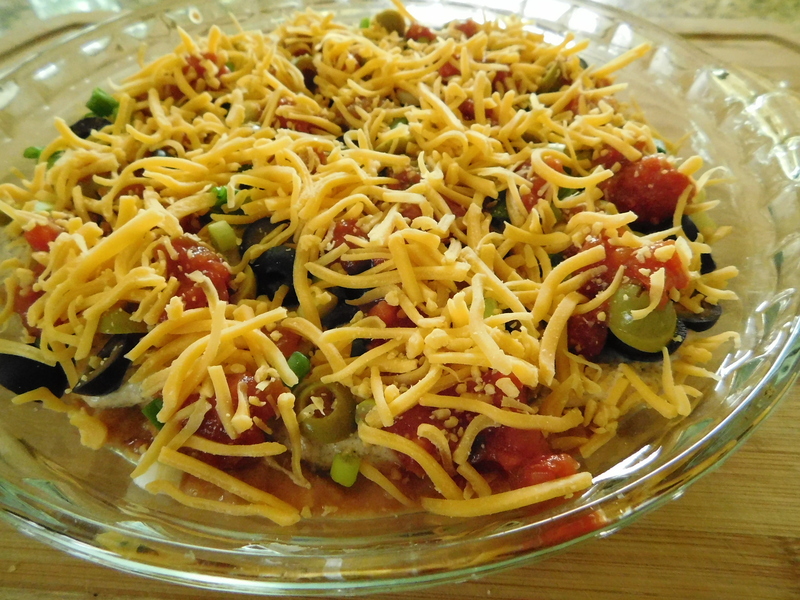 Make a batch of this Seven Layer Dip today – better yet make 2 – you’re gonna need 2! I know, I know – Baked Cabbage doesn’t sound that great. O.M.G. This is a recipe I found when going through my mom’s recipes and it is so good. I don’t know where she got this recipe – maybe from a co-worker? It might have been the year we grew cabbage in our garden and we had a LOT or cabbage to use. 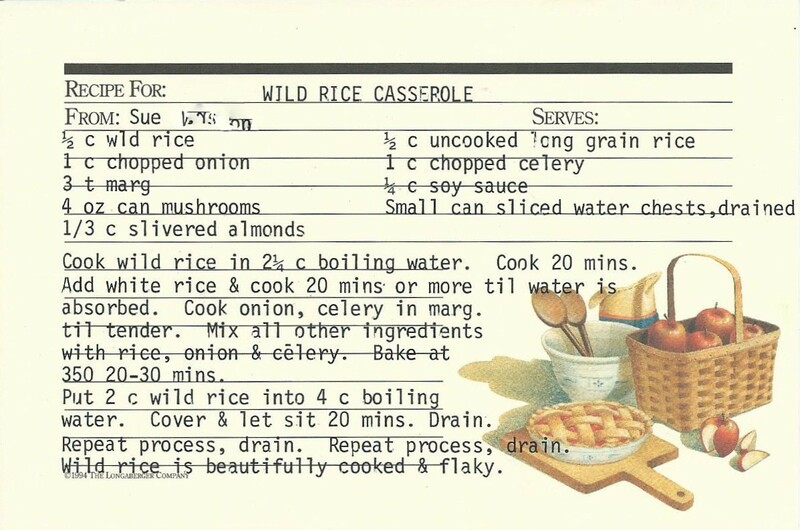 Anyway, I don’t ever remember my mom making this – and I would have remembered – but I’m glad she kept the recipe. 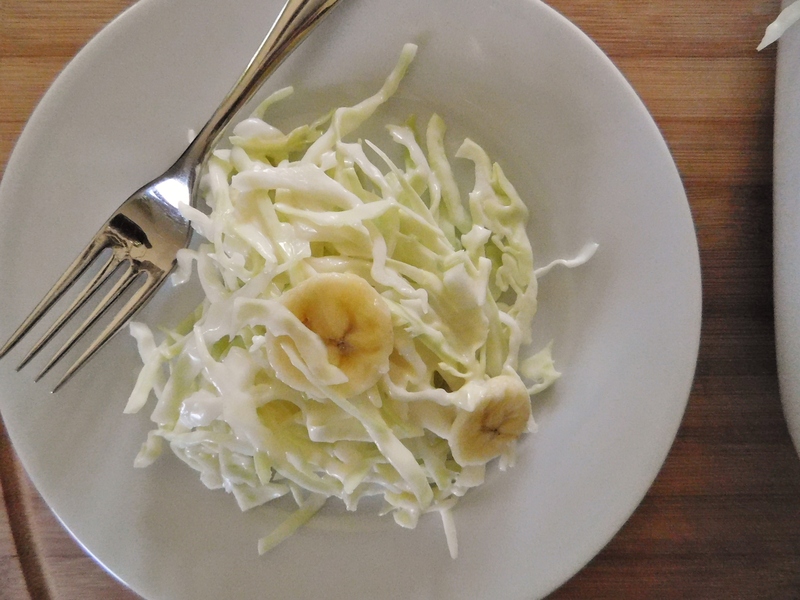 We love cabbage anyway in our family, but this recipe takes the humble cabbage to new heights. When you say the recipe is called Baked Cabbage – that just makes my laugh. It sounds like it would be a dish that’s not so great. Who would have thought that cabbage could be this good! I’m not kidding! This might be one of the best vegetable dishes I’ve EVER had! It’s delicious! This would be a great dish to make in March after St. Patrick’s Day when cabbage is cheap or when you hit the Farmer’s Market and buy local! Boil in water until partially done – about 5 minutes. 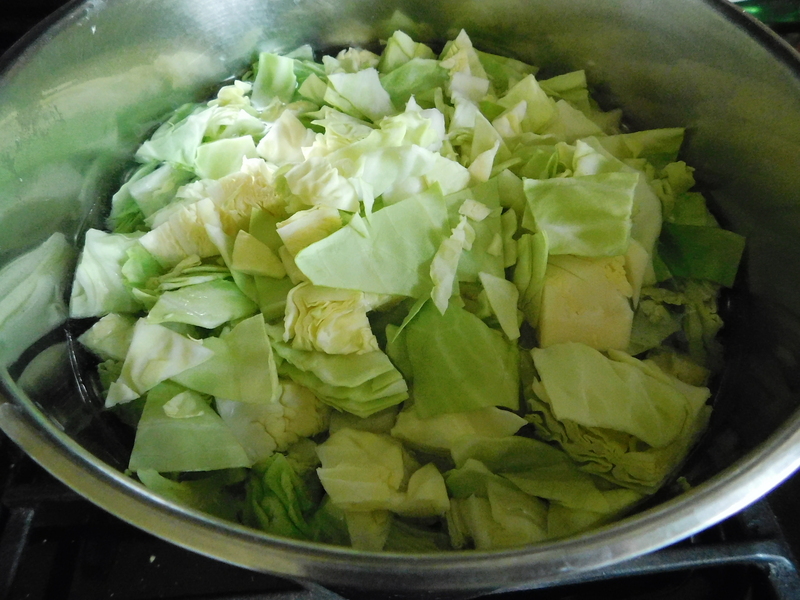 Drain and put cabbage into a casserole. Add this to cabbage and mix. Add enough milk to just cover the cabbage (I used about 1/2 cup in all). 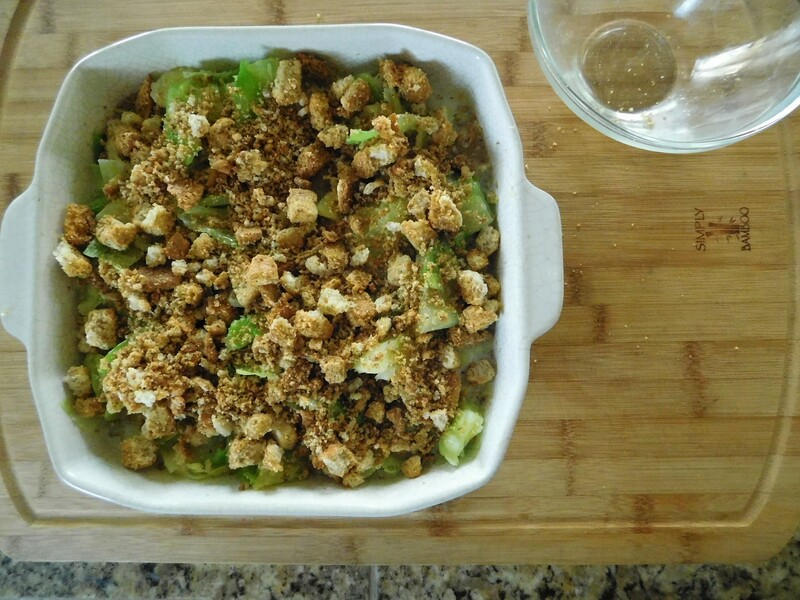 Add buttered bread crumbs or croutons on top (I used croutons). 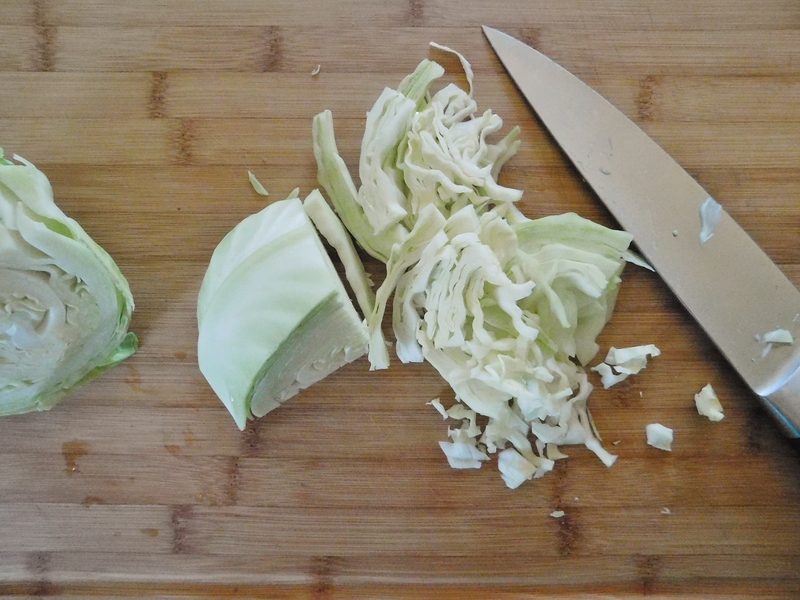 Cut the core out of the cabbage before chopping. There aren’t a lot of ingredients, . . .
. . . which makes this fairly inexpensive to make. 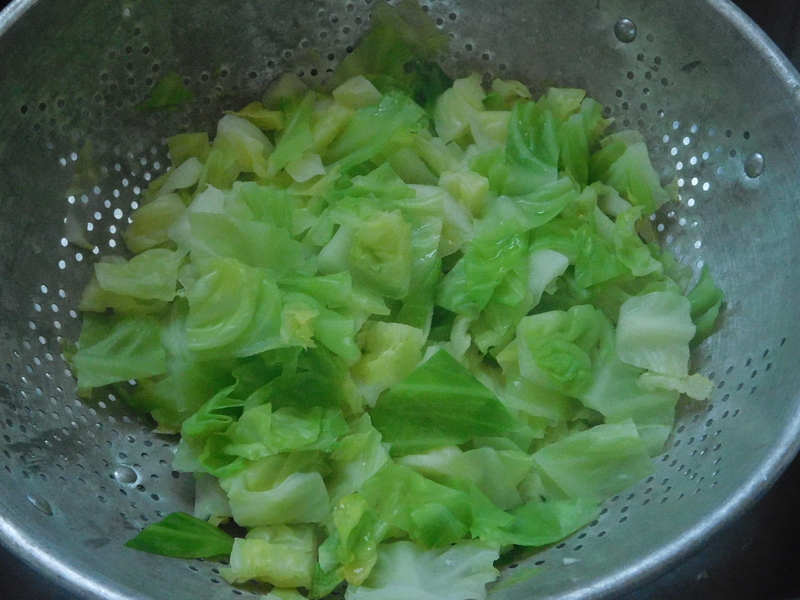 Boil the cabbage and then . . .
. . . drain it before putting it into the casserole dish. 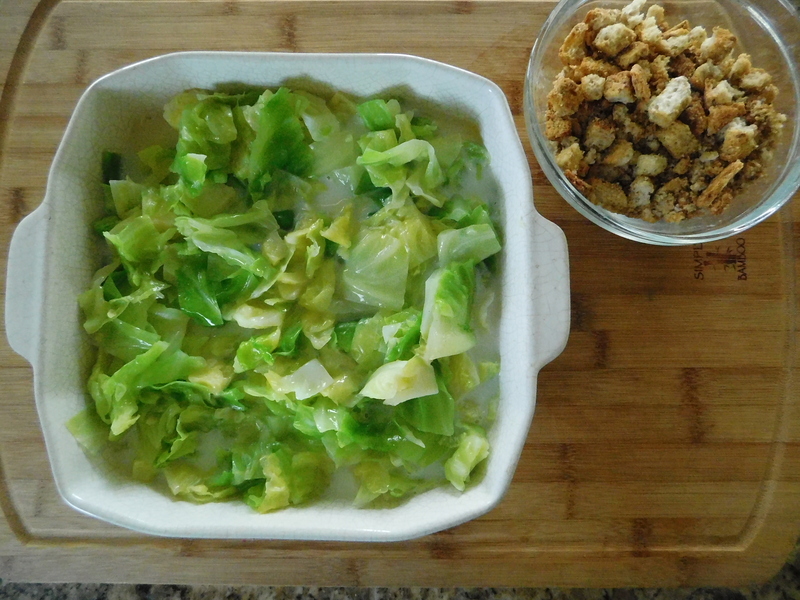 You can see that I didn’t really add a lot of milk, just enough to barely cover the cabbage. While I’m sure the buttered bread crumbs would be delicious, I used some croutons I had in my cupboard. I did crush them a bit. 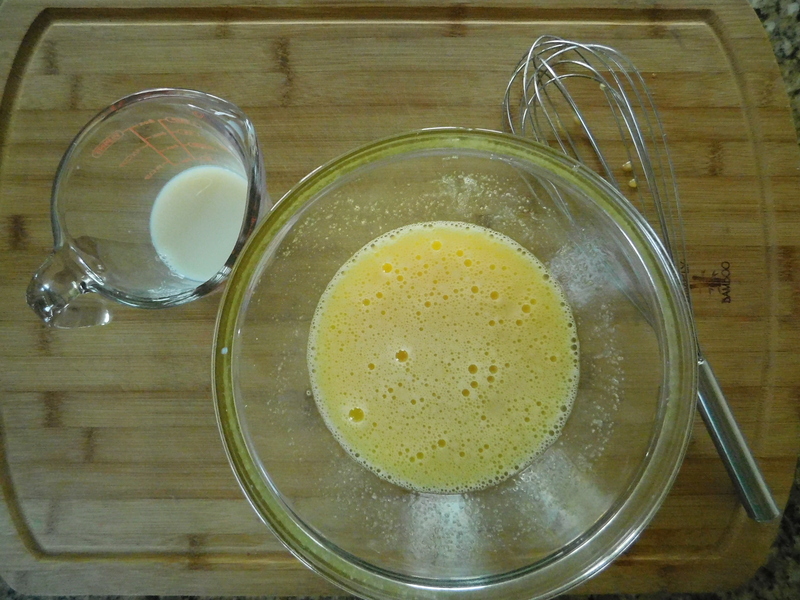 The egg mixture makes it almost like a custard. 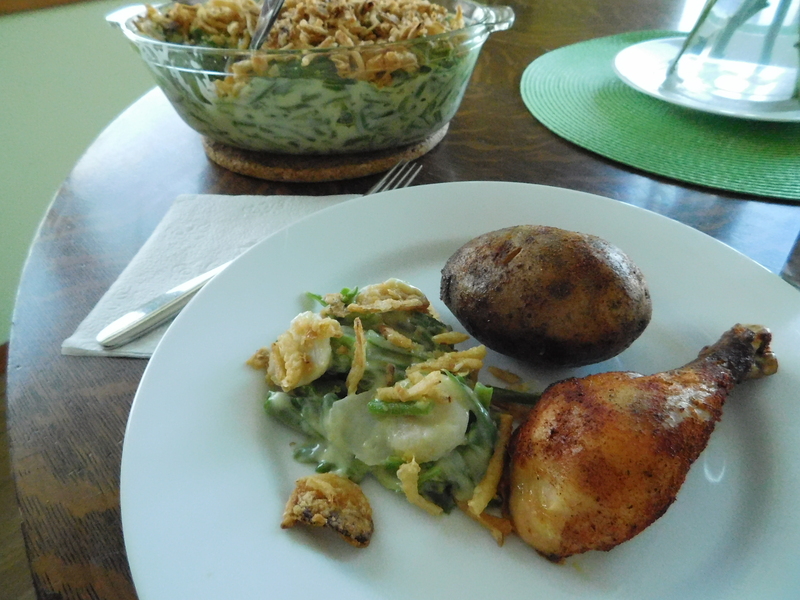 We had this cabbage dish for dinner, and we ate almost the whole thing! It really hit the spot for some reason. 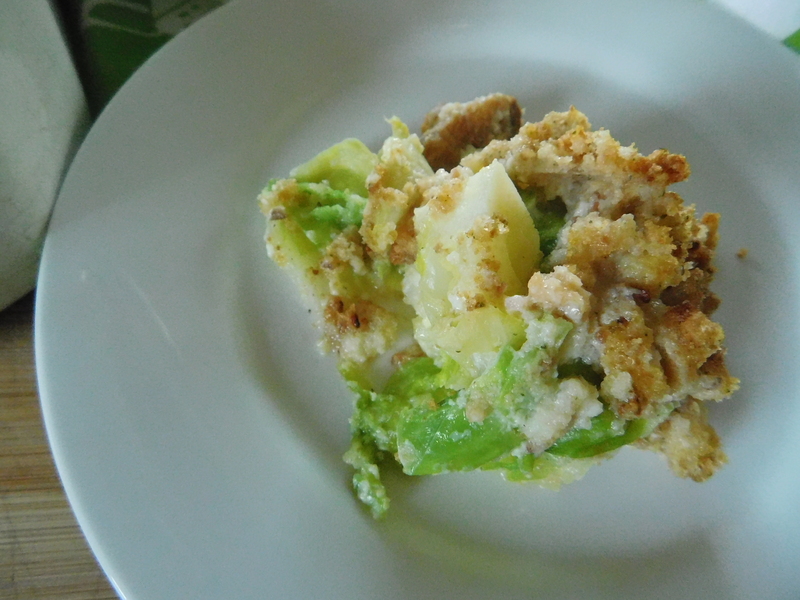 It mixes the wonderful taste of the cabbage with the sweet custard, and it’s really good! Next time you’re at the Farmer’s Market, pick up a cabbage and try this Baked Cabbage. 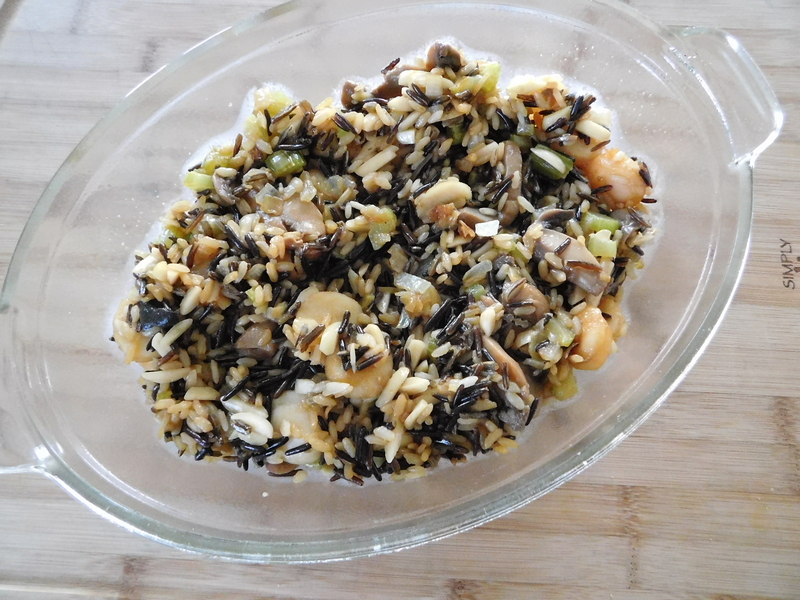 This recipe for Wild Rice Casserole is absolutely delicious. It originally came from my aunt, and when thinking about this recipe, I started remembering my aunt and uncle’s wedding. It was the most special weekend, ever! It started with me being able to have my hair done. When I look at the pics of it now, it just makes me laugh. Whomever did my hair got a bit carried away with the teasing and hairspray. I mean, seriously – I was just a little girl. That’s how I look at it now, but back then I felt so grown up and special. 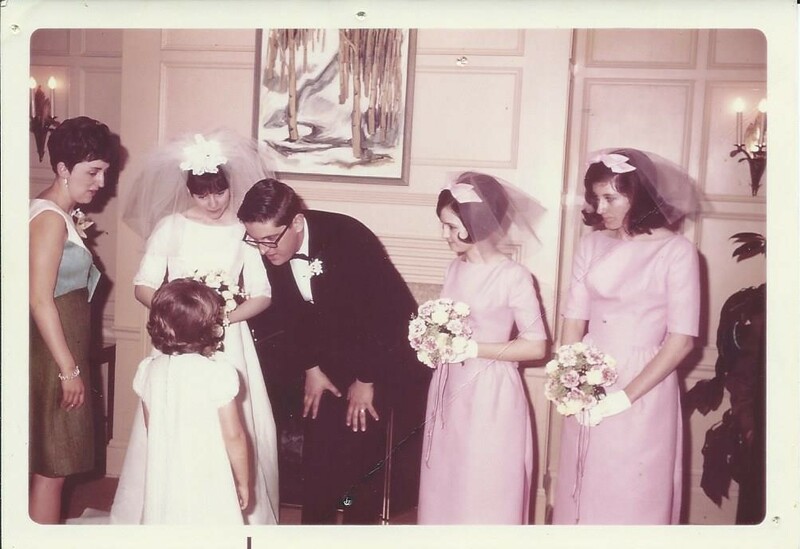 Here is a photo from their wedding. The wedding was about 100 miles from our small home town, in the metropolis of St. Paul, so after having our hair done (I assume my mom had hers done, too) we drove to St. Paul for the Groom’s or Rehearsal Dinner (I don’t know if I have the name of it right) and then stayed in a hotel overnight. That was also something that was incredibly special. I had never done that before. I remember that Grandma and Grandpa stayed there, too, and their room faced the Minnesota State Capital, which was lit up at night. I had never seen anything so magical. I have so many wonderful memories of that weekend. It was pretty special to a little girl who got to be all grown up for a weekend. Or at least she pretended she was. Cook 20 minutes more or until water is absorbed. This recipe seems to have several parts, and it does, but they come together very easily. 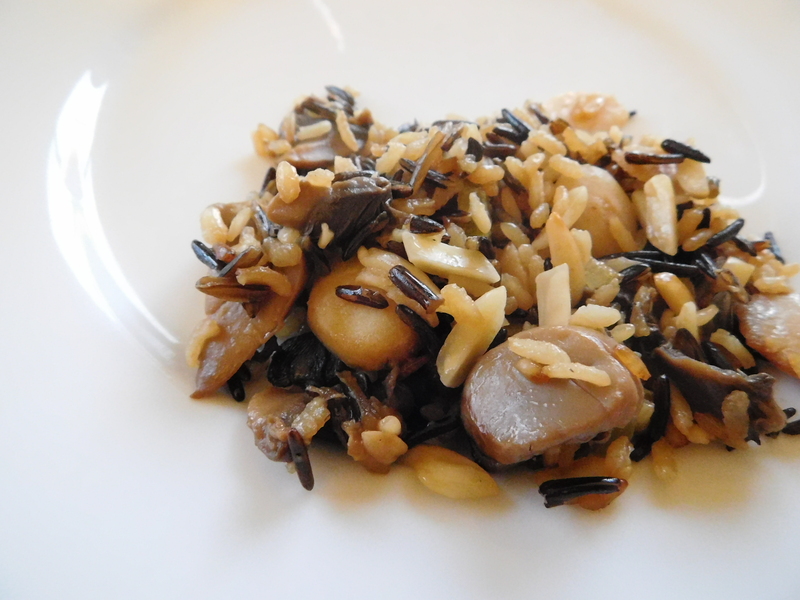 There is another easy way to cook wild rice at the bottom of the card. I’d use that next time. 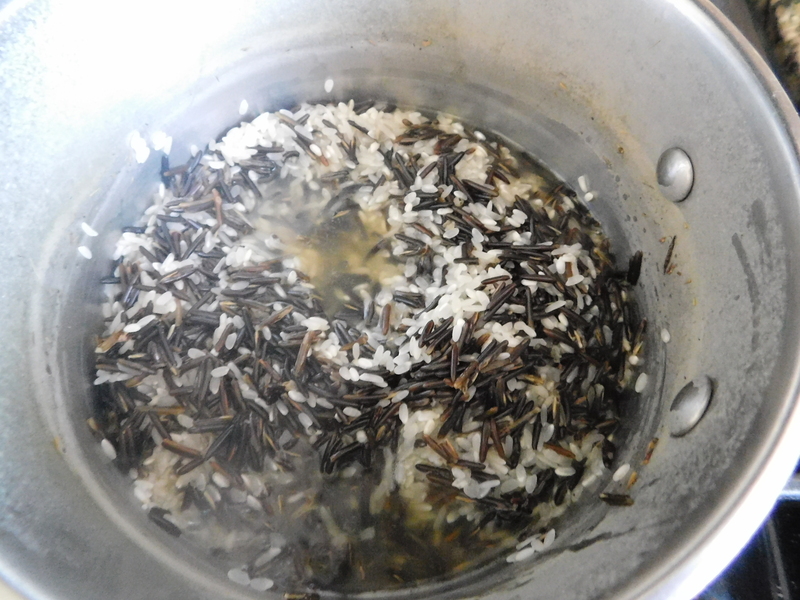 The water evaporated when I was cooking the rice and I don’t think the wild rice got quite done enough, but I was afraid it would stick to the pan and didn’t know if I should add more water. It might have cooked a bit differently, or faster, because I have a gas range, instead of an electric one? I’m not sure. 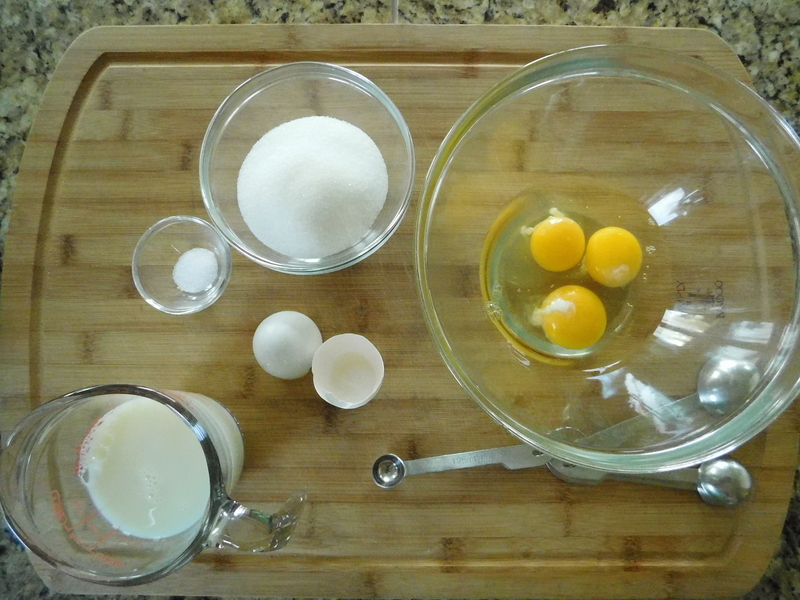 These are really pretty simple ingredients. Mix them all up and bake. Done. 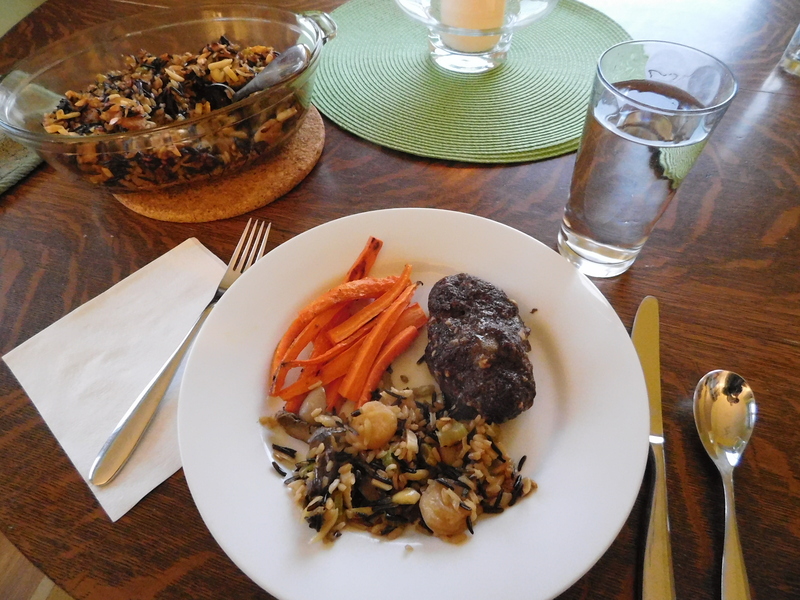 I used my Meatloaf recipe and made some individual ones to serve with this casserole. 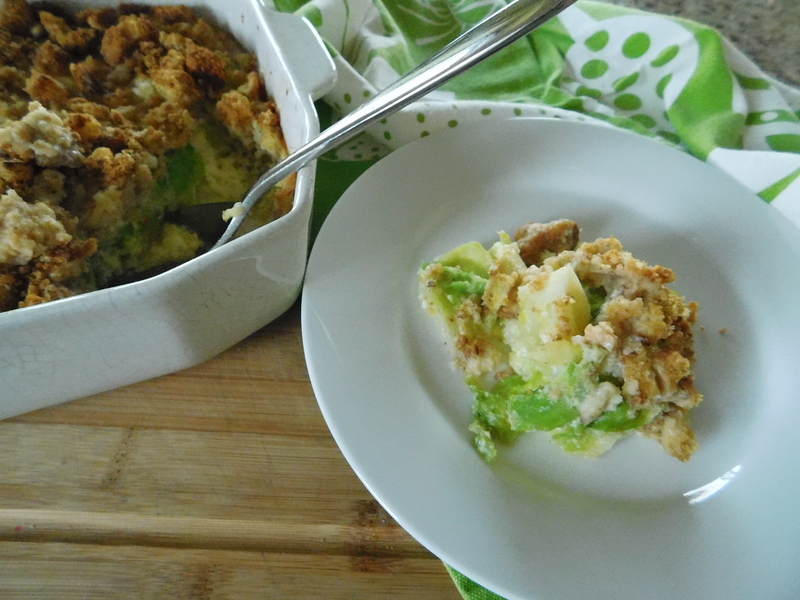 This casserole is so good and goes wonderfully with any kind of main dish. 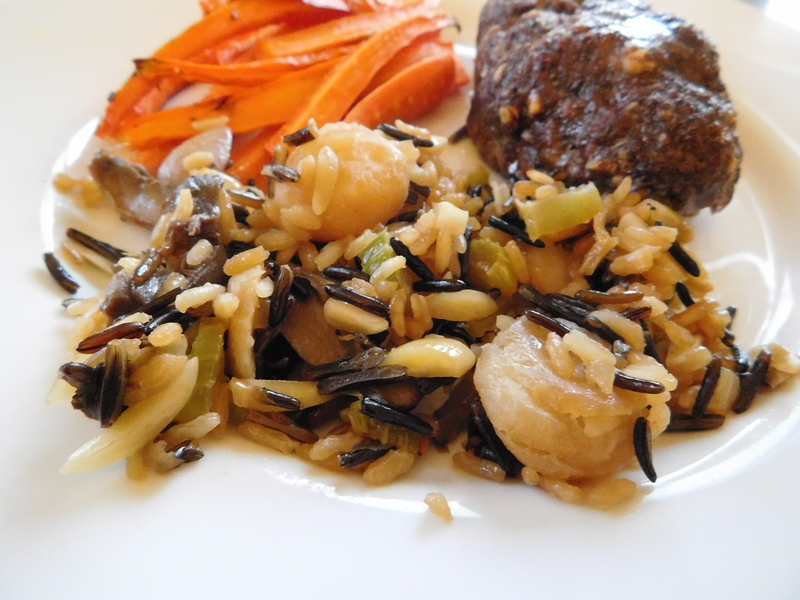 I highly recommend you try this Wild Rice Casserole – it is absolutely delicious! 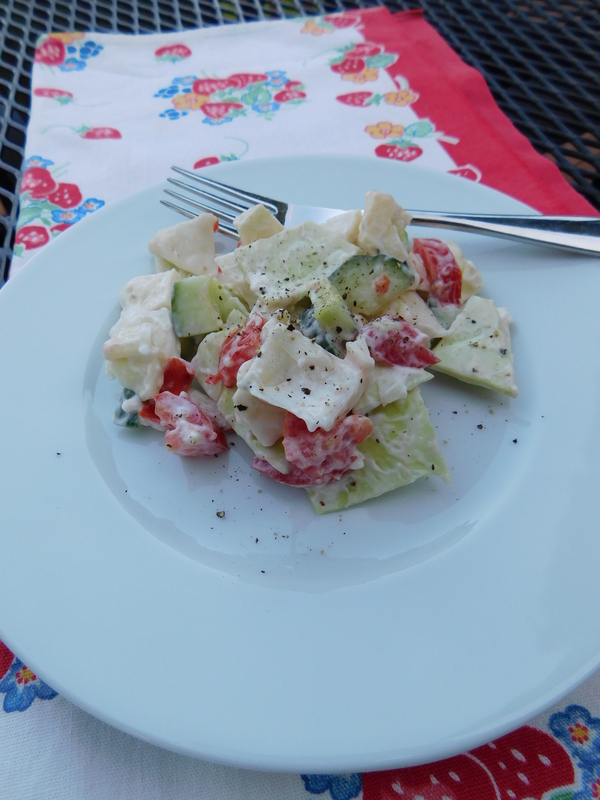 Today’s recipe for Garden Cabbage Salad has been around a long time. I’m not sure where this one came from, but my mom started making this in the late 1970’s or early 1980’s. This salad is great for using garden vegetables. We had a big garden across the road from our house at the lake, and there were a few years when we grew cabbage. 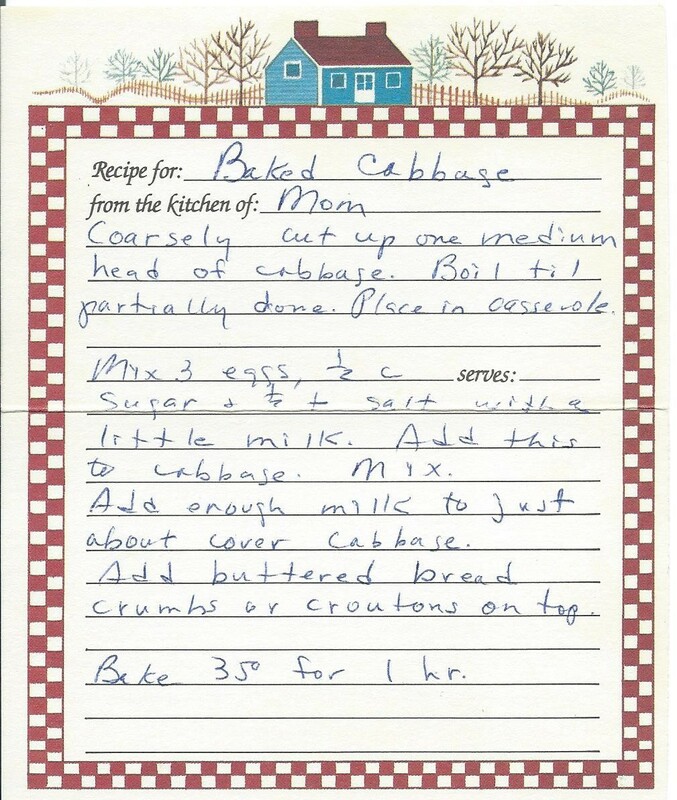 That might have been when my mom found this recipe that uses cabbage. I have a garden now, but not big enough to grow all of these veggies. That’s when I head to our favorite farmer’s market to pick up local, fresh ingredients to make recipes like this one. If you have an over abundance of garden vegetables, and you’re looking for a different kind of salad to make with said vegetables, this is the salad for you! 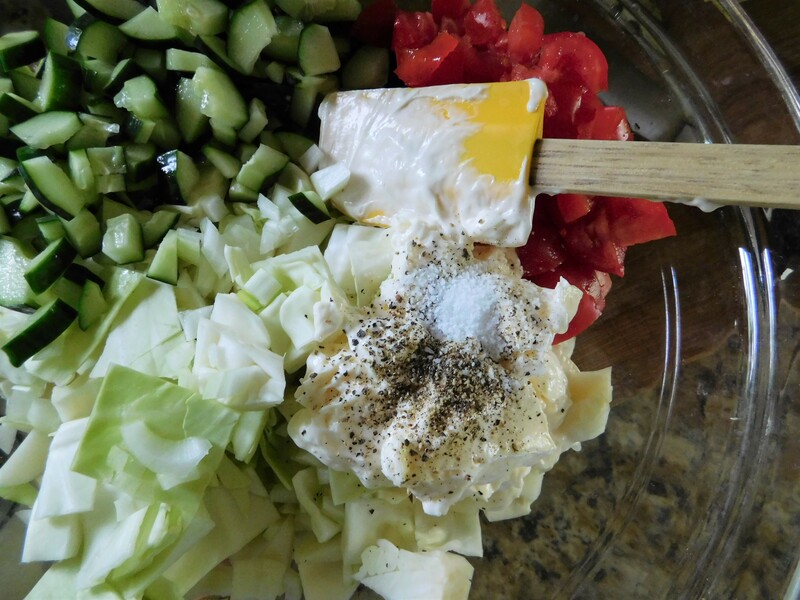 This salad has such simple ingredients and is so fresh tasting! Chill one hour or more. These tomatoes were grown in our garden, but I got all of the other veggies at the farmer’s market. 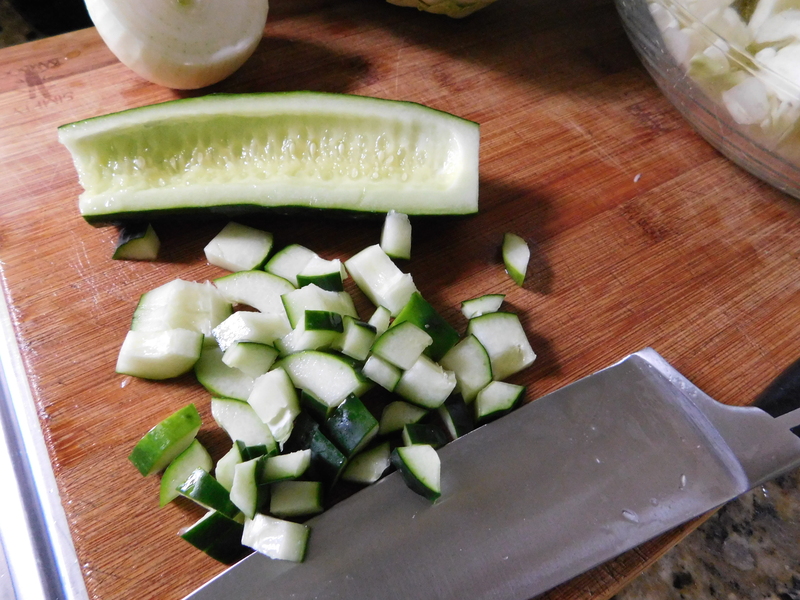 Get your chopping skills ready! 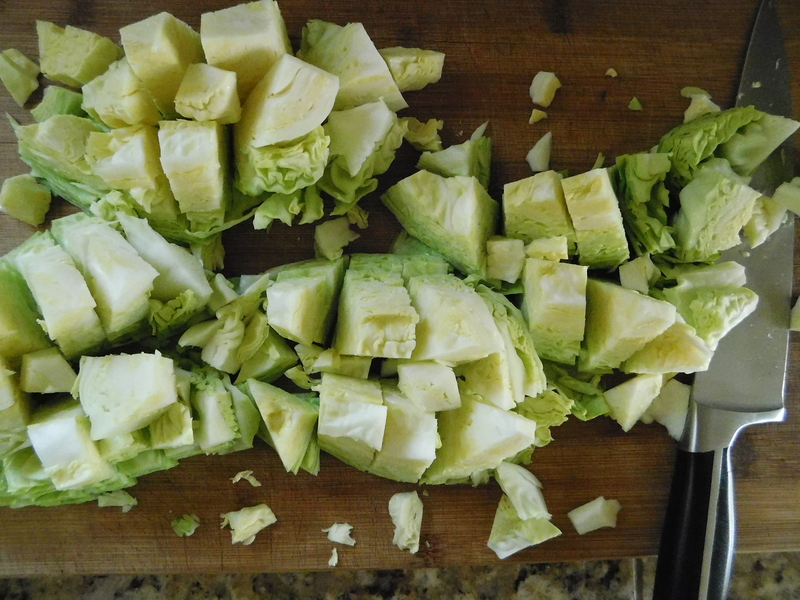 Usually I shred cabbage when using it in salads, so it was strange to chop it. Just a few ingredients, but it’s so fresh and good! It’s also a very pretty salad, but it’s also the kind of salad that doesn’t last too long in your frig. I would say that it will only last a day or two before the cucumbers make it a bit watery. Just go ahead and eat it all in one sitting. 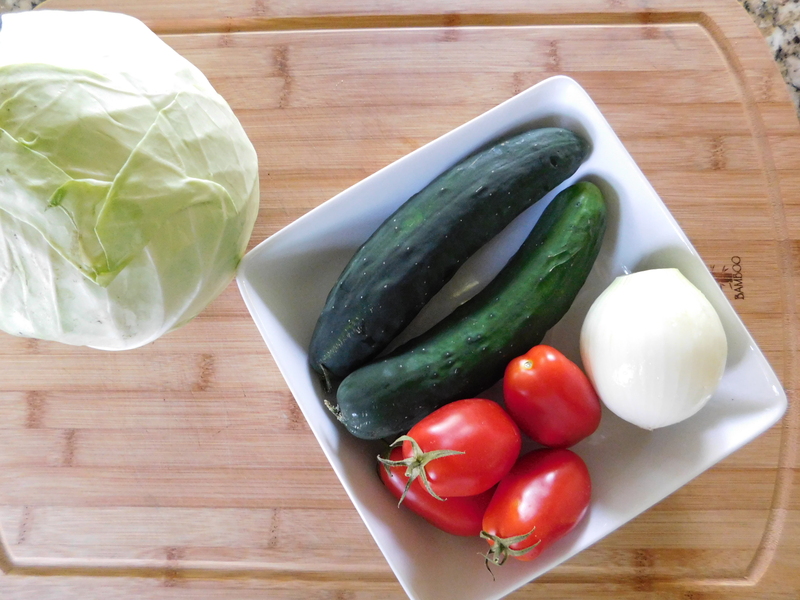 It’s vegetables – it’s good for you! If you have a garden, you’re going to want to try this salad. It uses your garden produce in a little bit different way. There’s just not anything more to say. 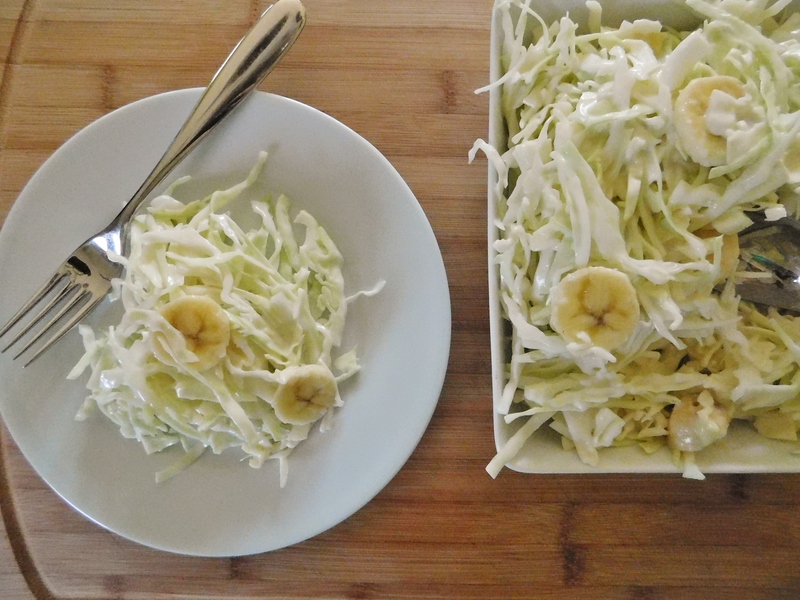 It’s easy and very quick to pull together, its uses simple ingredients, it’s a great side dish for anything grilled in the summertime, it uses veggies from your garden or local farmer’s market – what’s not to love in this Garden Cabbage Salad? 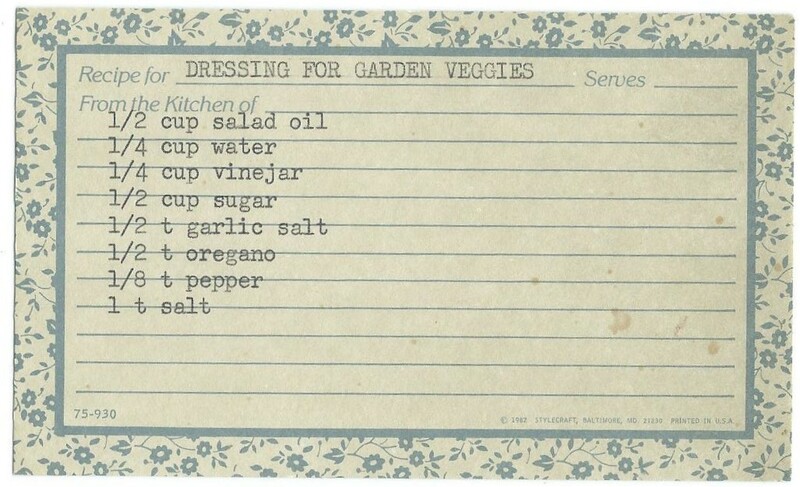 This recipe for Dressing for Garden Veggies goes back to the 1970’s from a family friend. This friend is the wife of my dad’s best friend. These guys had been friends from the time they were little boys, through high school (oh boy – are there stories about this time in their lives!! ), and until we lost my dad at the age of 49. These guys would give each other a hard time about everything, give each other nicknames, and spend as much time together as possible. They hunted, fished, camped, and did anything they could outdoors. I love this photo of their confirmation class. 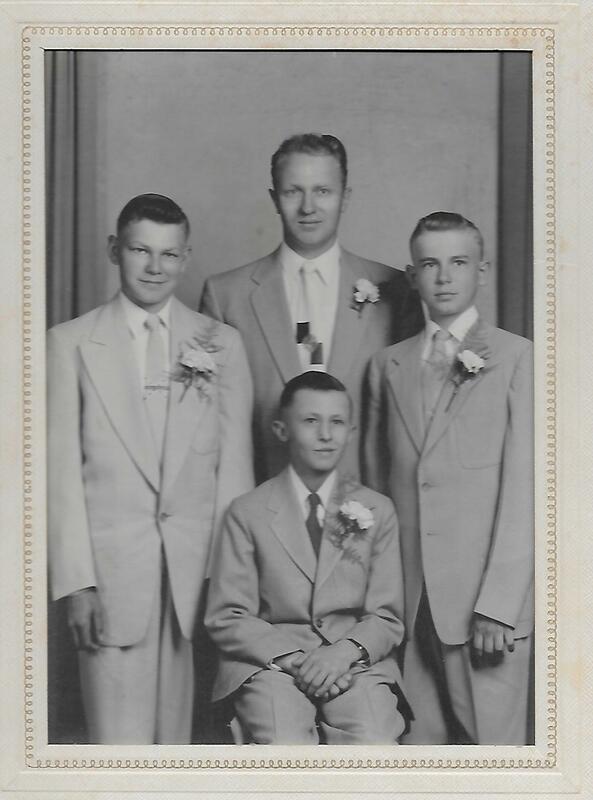 My dad is the one on the left and his best friend is the one in the middle in the front. Don’t they look thrilled to be there? Ha! The one thing they hated more than having to spend time indoors, was to have to get dressed up in their Sunday best! Except for their wedding photos (or their children’s wedding photos), this was probably one of the most formal photos they ever took. EVER! Pour dressing over cut veggies. Full disclosure – I used olive oil for this. If you think the salad may last more than one meal, use salad oil. 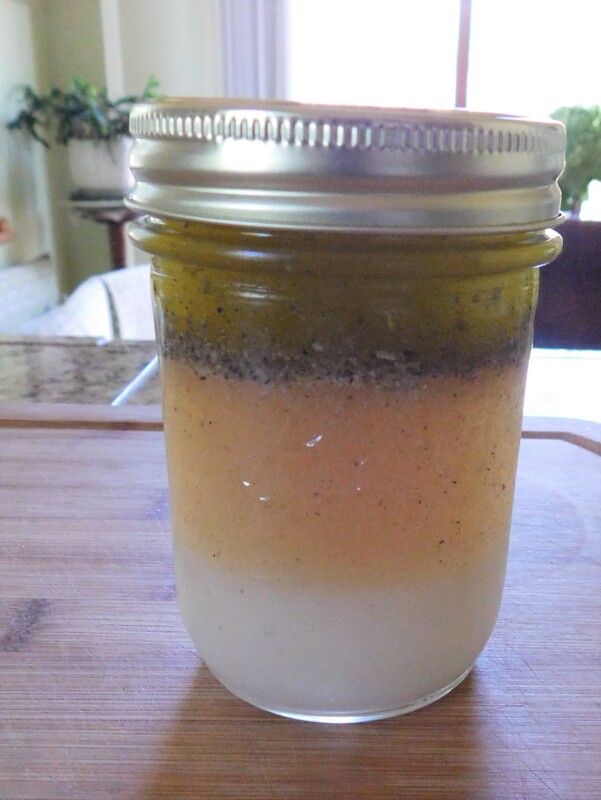 Olive oil solidifies in the refrigerator if you need to store it. It doesn’t look so pretty. I would use salad oil next time. The dressing separates, but a quick shake before pouring it over the veggies and it’s fine. It takes a bit of shaking to get all of the sugar to incorporate. 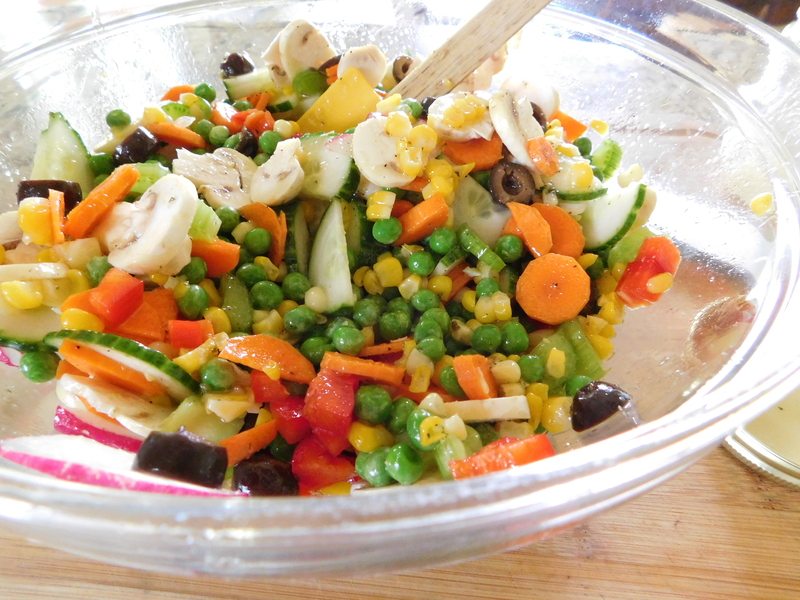 This is a pretty salad with all of the colorful veggies . . .
. . . and it’s delicious! 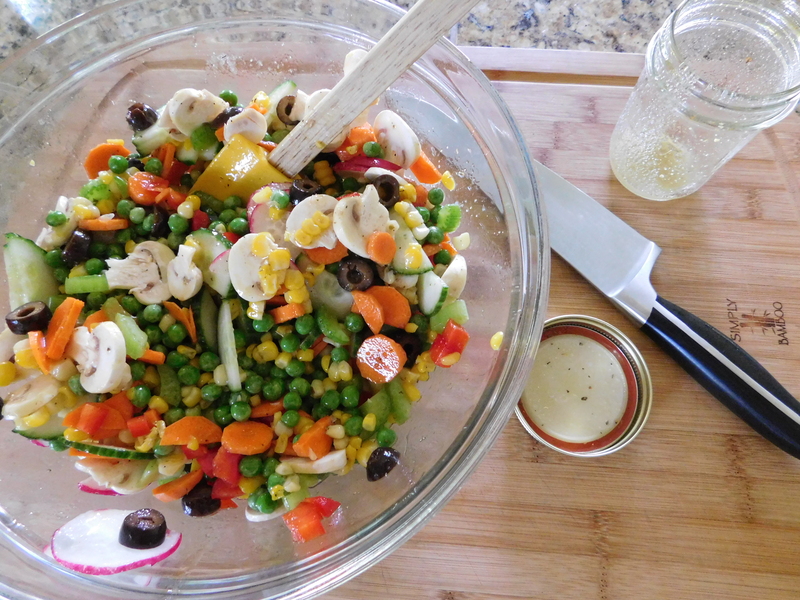 You can just keep adding more veggies because the dressing lasts for a week or so. This has such a tasty dressing. Call up all of your best friends and have them over for dinner. You can talk about the good old days and serve them this amazingly delicious salad with Dressing for Garden Veggies. Bean Salad is one of those recipes that Grandma neglected to finish. At least I think she did. I’m sure when she jotted this one down, it was just for her – to be able to remember it herself – never thinking that maybe someone else would want to know how to make it someday. The way this one is worded makes me think she knew just what to do with this. She just wrote down the basics and that was it, but I’ll elaborate on that as we go along. 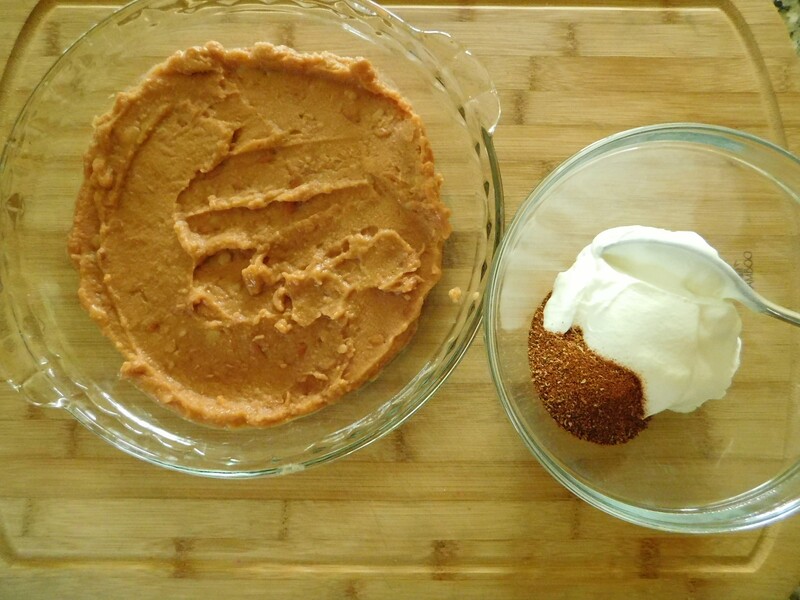 This is another one of her weird recipes that seems incomplete, but ends up totally delicious. I haven’t really seen too many recipes for beans used in this way, but I did post a 3 Bean Salad, in the first year of the blog. This sounds like it would be tasty with either a large Sunday dinner, or the cold meat and cheese dinner she would serve once in a while. Let’s try this Bean Salad and see how it goes. This really is a tasty salad. Next it says to use a mayonnaise dressing plus mustard. 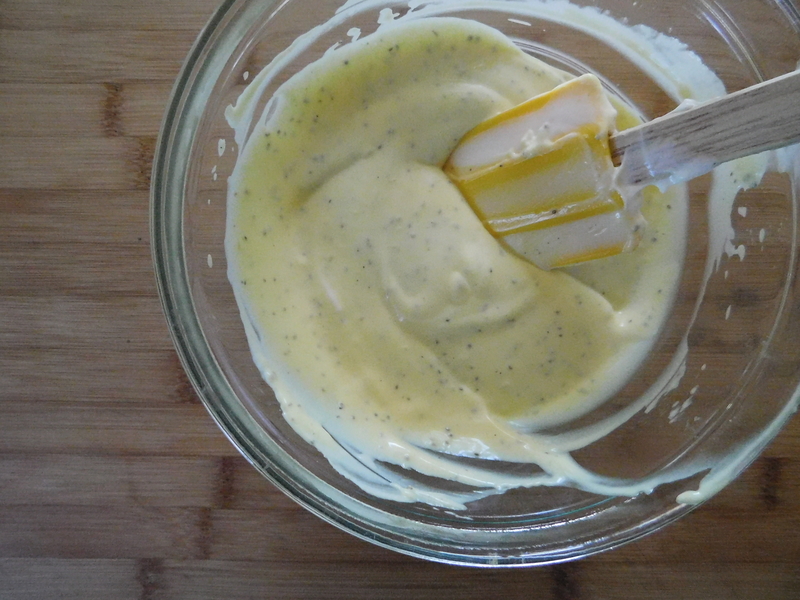 I used the mayonnaise dressing that I always use on Cabbage Salad, but added a Tablespoon of regular yellow mustard. That’s it. I know. Weird. But tasty. Seriously. 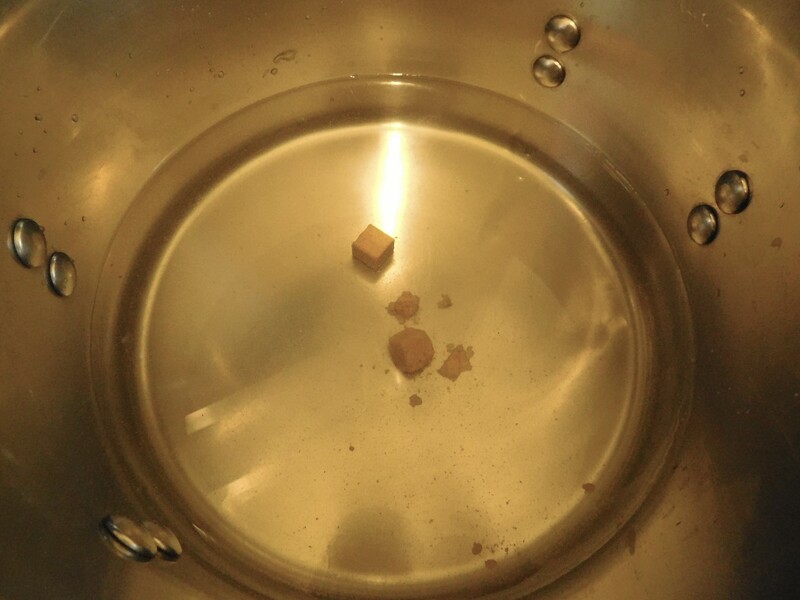 Boil the beans with 2 bullion cubes – ok . . . ? 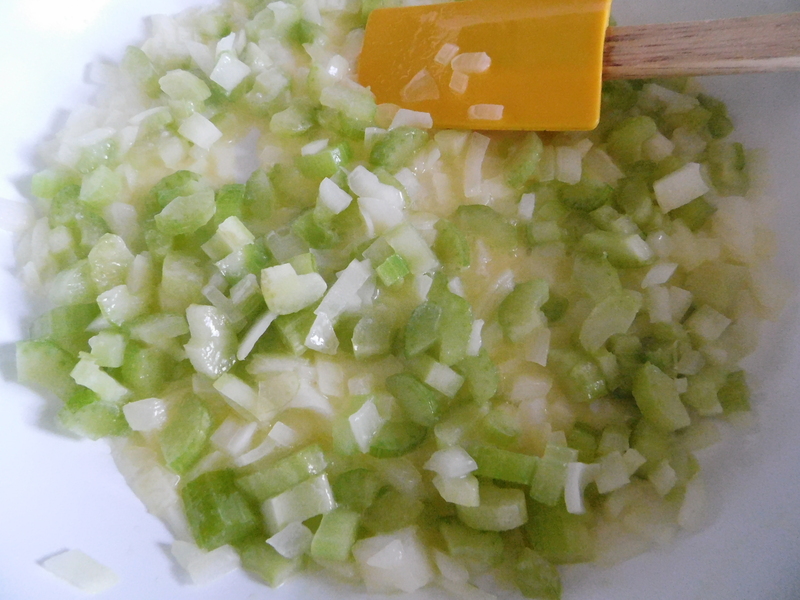 Add onions – ok . . .? 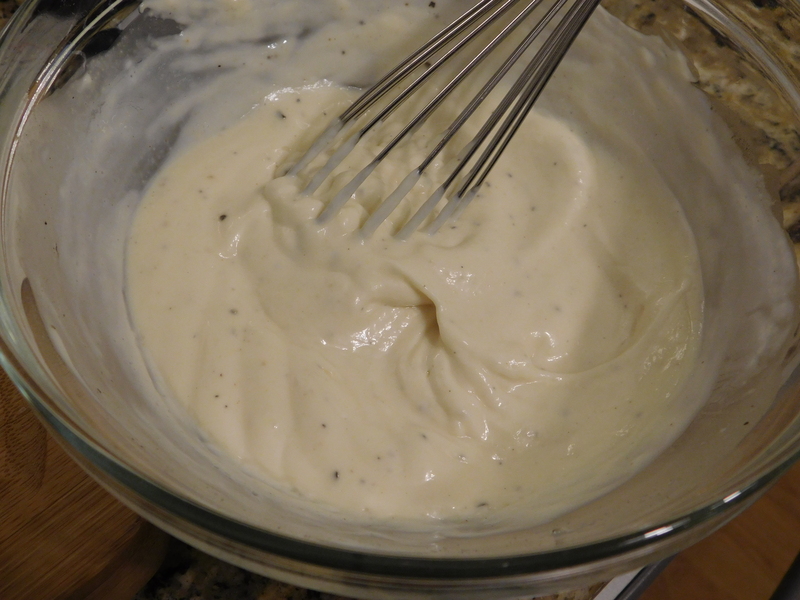 Mayonnaise dressing plus mustard – ok . . . ? That’s it. Funny – it sure is keeping with Grandma’s theme of really easy to make and really good to eat. I’m not sure if this is what it’s supposed to be or look like, but it’s the best I can do. Sometimes I wish I could just ask – is this right? I guess the answer is – it’s good! 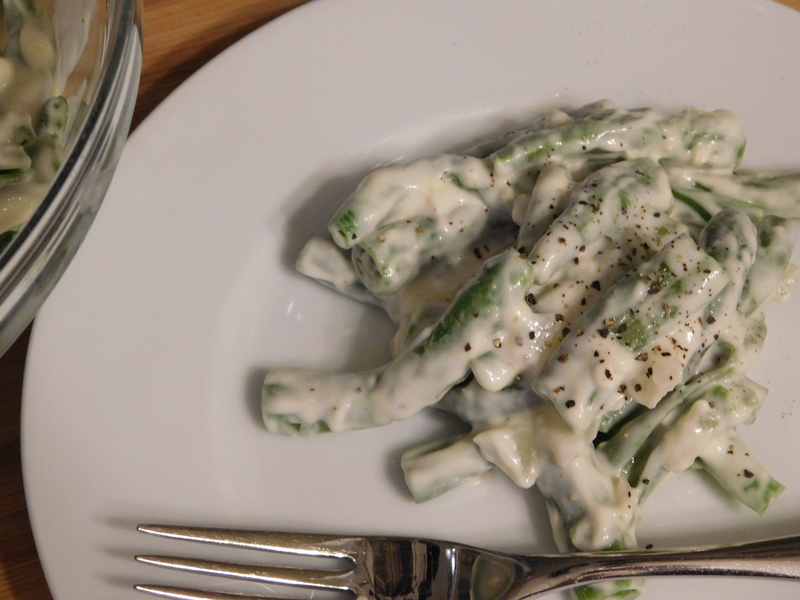 It’s crazy, but right or wrong, this is a delicious and very different way to use green beans. 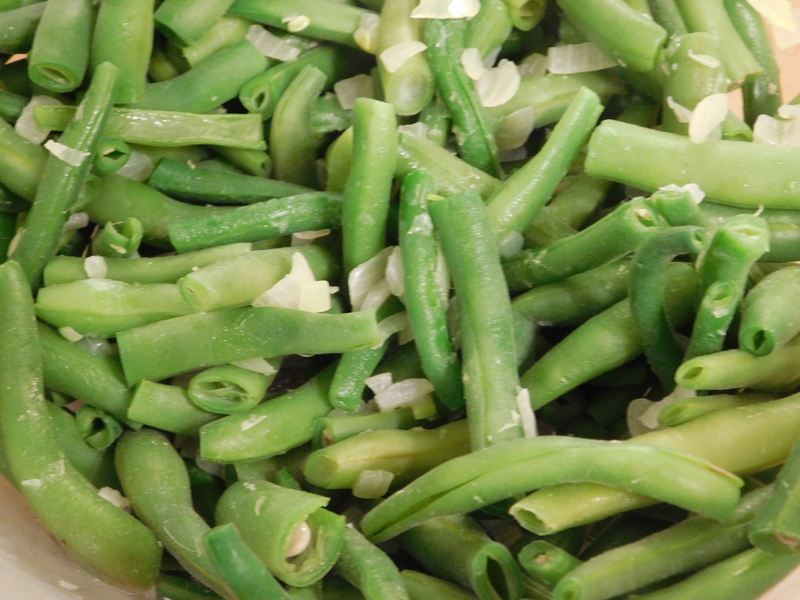 It’s great for any time of year, but especially now that our gardens are plentiful with fresh green beans. This salad is the prefect side dish with pretty much any main dish. So there you go. 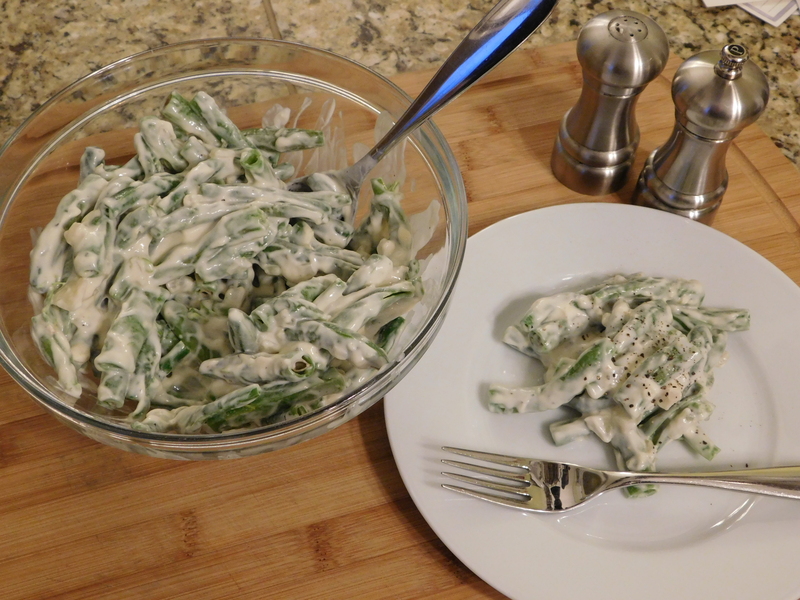 Bean Salad – I say it’s close enough! 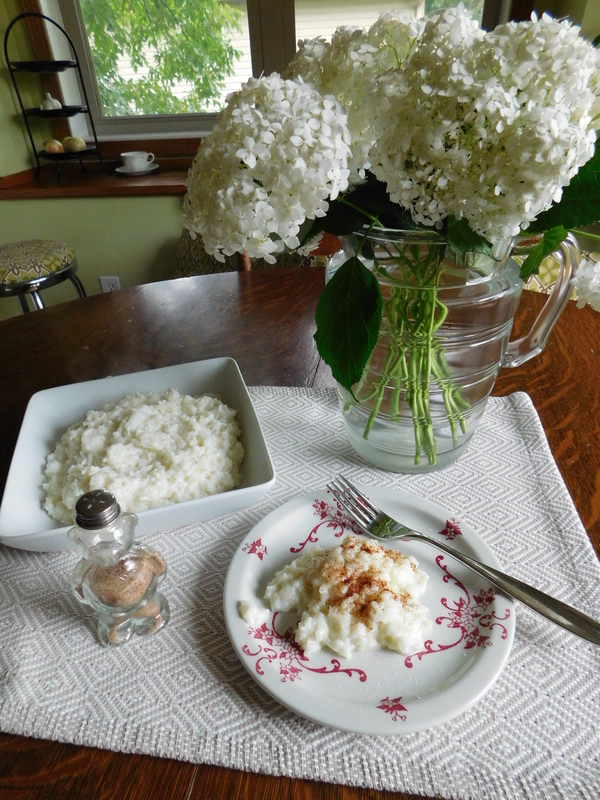 Today I’m sharing another comfort food and because it doesn’t have an actual name, I’m calling it Creamy Rice with Cinnamon and Sugar. People, this is total comfort food for our entire family. I don’t know if it was a Swedish thing, or if it was a farm thing, or if it was just economical, but Grandma would make this a lot in the summer (AND other times of the year). I’m sure it was because it didn’t heat up the kitchen too much – they didn’t have AC on the farm – and it could get hot in that little house. She made this for my mom and uncle when they were growing up, and that makes me want to share this photo of them in the summertime when they were kids. 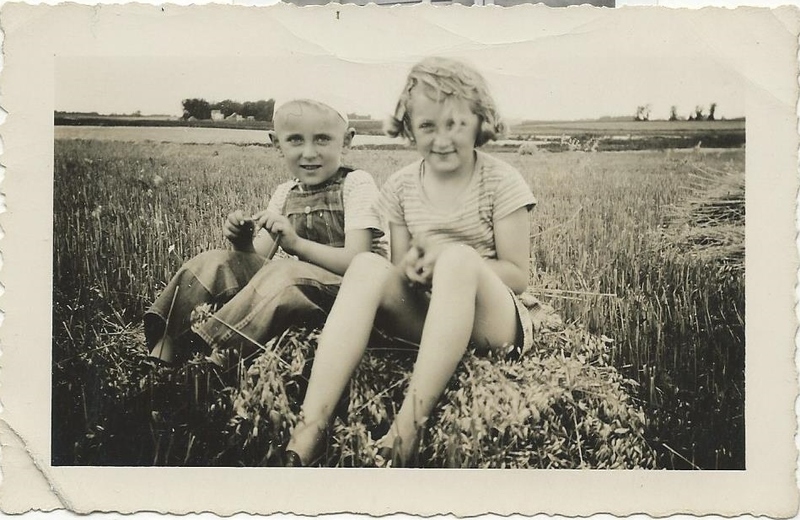 I love this one – it looks like they’re sitting on a hay bale in the middle of a field! This is so great – an unusually casual photo – I love it! The smell of this cooking is enough to make me burst into tears. Both Grandma and my mom have made this my whole life, and it’s like getting a big, snuggly hug. Cover and simmer 10-15 minutes or until milk is absorbed. Cover and simmer another 10 minutes or until milk is absorbed. 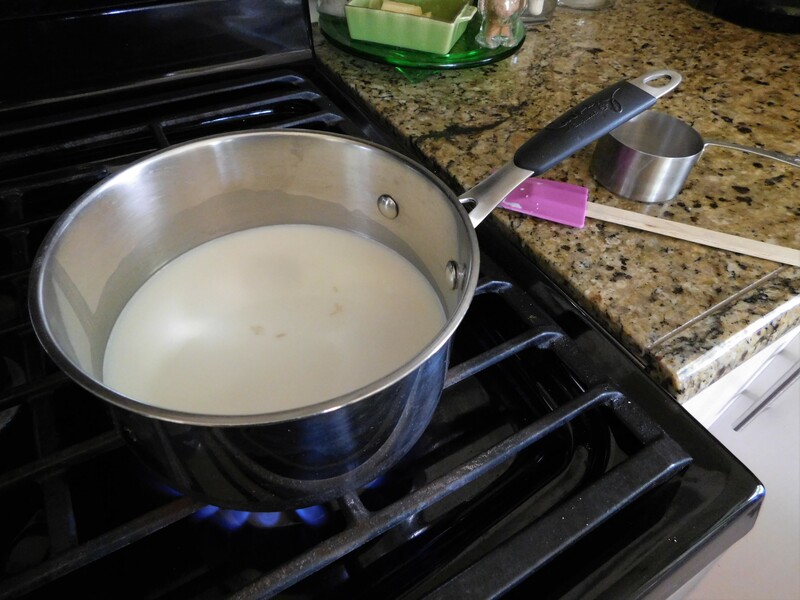 Cover and simmer another 10 minutes or until milk is absorbed and rice is tender and creamy. I’m sure that Grandma used whole milk to make this, maybe even half-n-half. You can go ahead and be that decadent if you want to, but I went with 2% milk. This is so simple and so good. 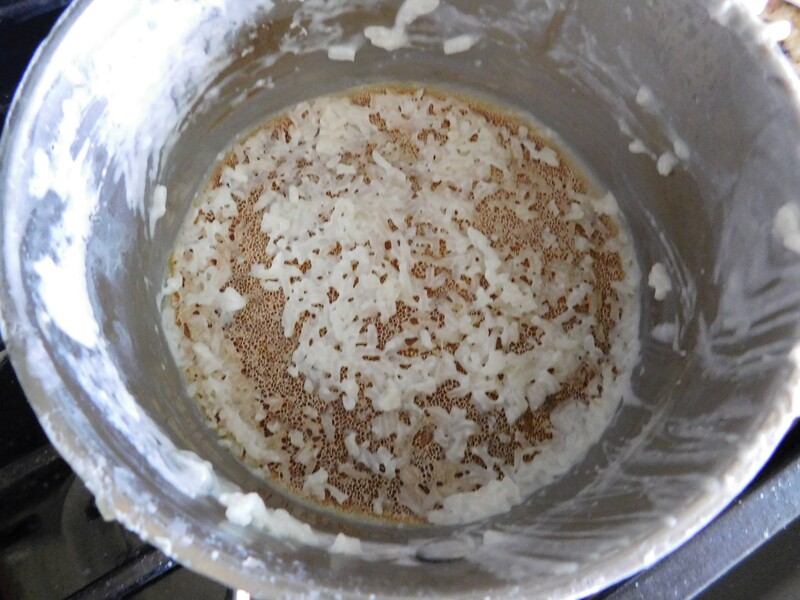 Put the rice, milk, and salt in a pan. Put on the lid and bring it to a boil. Let it simmer, but don’t let it do this! It was going well and looked like it was simmering nicely. I swear – I left the room for 2 minutes! Don’t leave the room – that’s the only way to prevent this from happening. 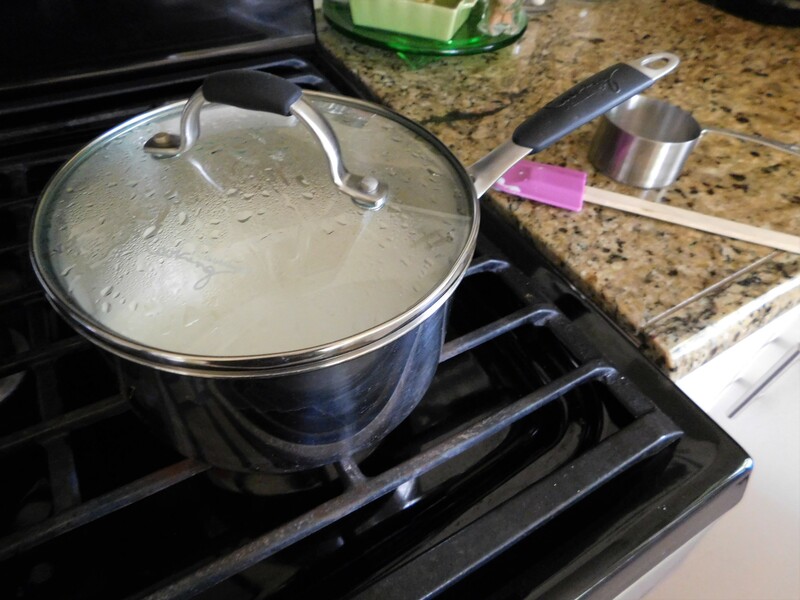 When it starts to boil up, lift the lid a bit so it won’t boil over. I have to admit that I have NEVER been able to make this without it boiling over and scorching. The difference may be that Grandma and Mom never had a gas stove. I have a gas stove. That’s my story and I’m sticking to it! It stuck to the bottom of the pan, too. There is a bit of elbow grease involved to get this all cleaned up, but honestly, it’s worth it. I don’t care about the clean up, it’s just that good and comforting. Finally – it’s ready to be adorned with the cinnamon and sugar. Oh my goodness. It sure seems like this is a Swedish thing. 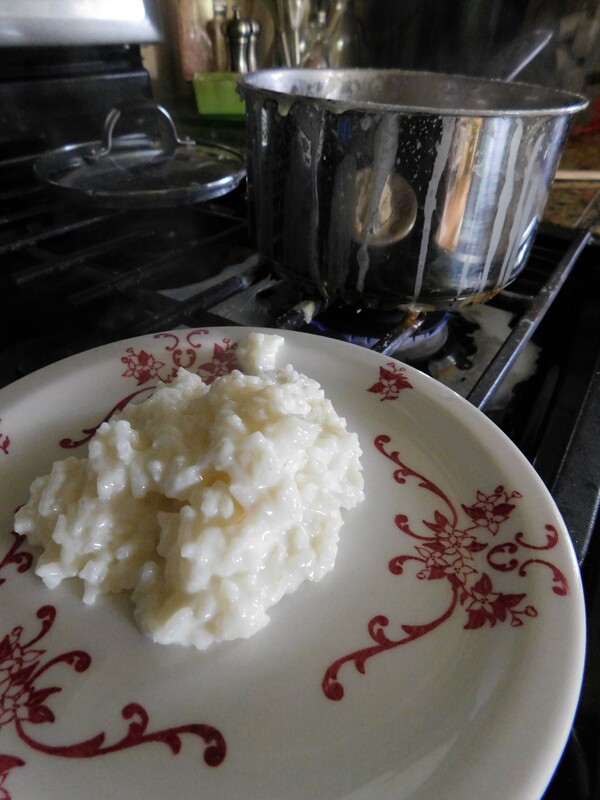 There is just something about the aroma of warm milk and rice that just brings me back to the farm. Yes – it’s comfort food all the way. Sprinkle on the cinnamon and sugar and there you go. 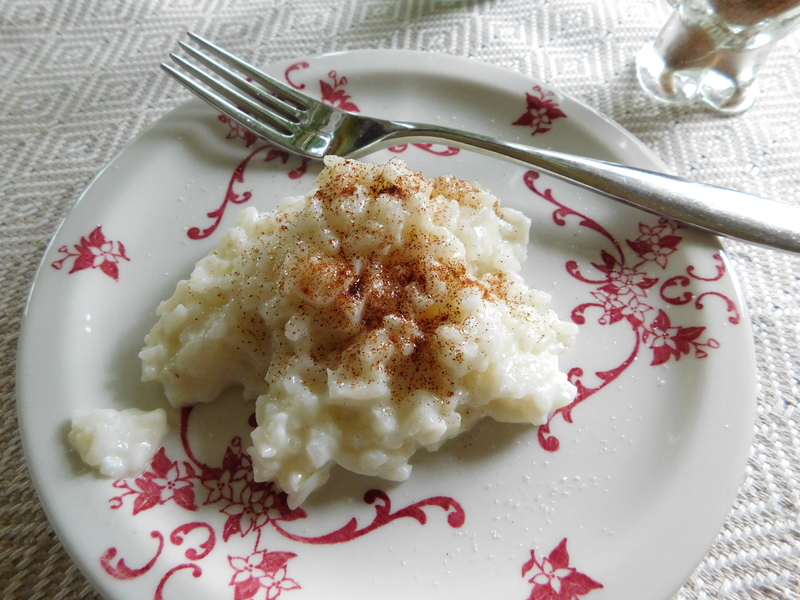 I hope you try this big, snuggly hug from home – Creamy Rice with Cinnamon and Sugar. Spray inside of crockpot with cooking spray. I used a small crockpot and went 2 1/2 hours. I was incredibly lucky to have 2 sets of amazing and very loving grandparents. My Gramp was the first to leave us, but not until I was in college, so I was able to enjoy all of my grandparents most of my growing up years. 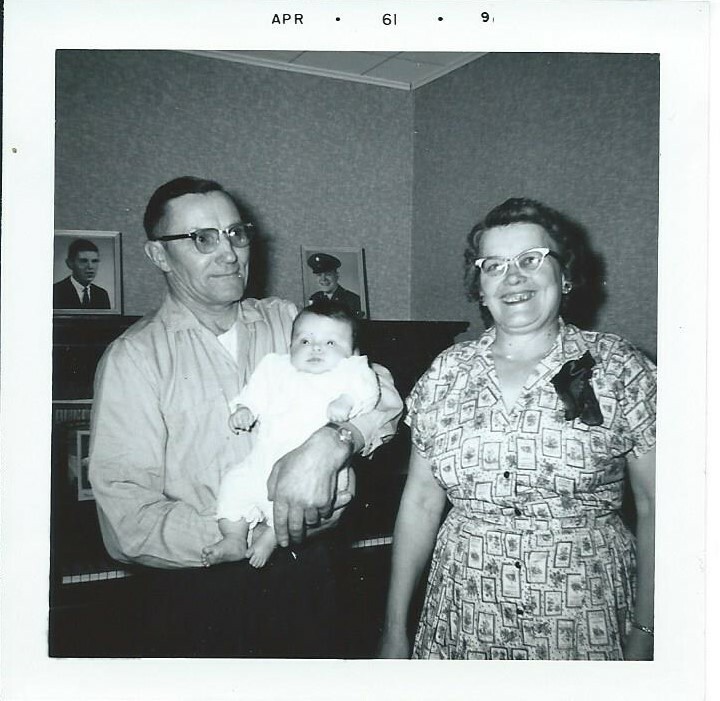 This photo is of my other grandparents and me when I was about 3 months old. We lived next door to them until we moved to the lake when I was 8, and I was at their house almost every day. The recipe for today is from this grandma. 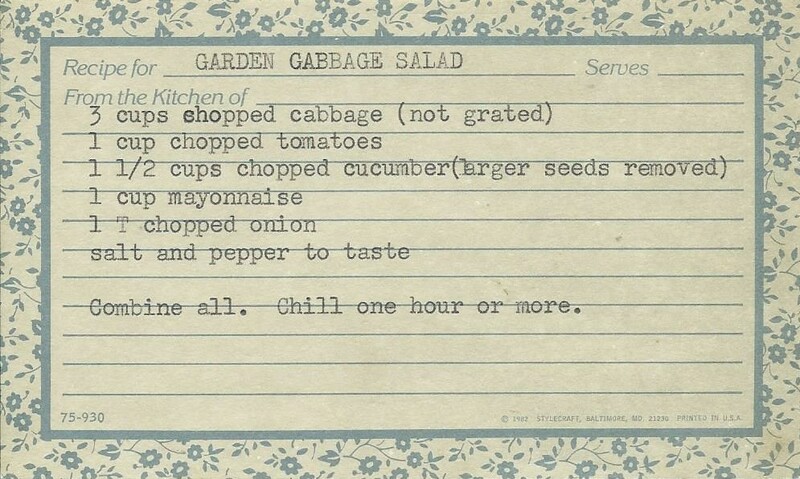 She made Cabbage Salad every time the whole family was all at their house for dinner. There were 12-16 of us when all of my aunts and uncles and cousins were there, and I’m sure this was just an economical thing. Also, this salad goes with absolutely everything. There isn’t really a card for this – I watched and helped her make this my whole life, so I just always knew how to do it. I’m going to try and write down what I do, but I have to admit that this changes a little bit from time to time, depending on what I have on hand and how I’m feeling on the day I make it. Add to the shredded cabbage and combine. 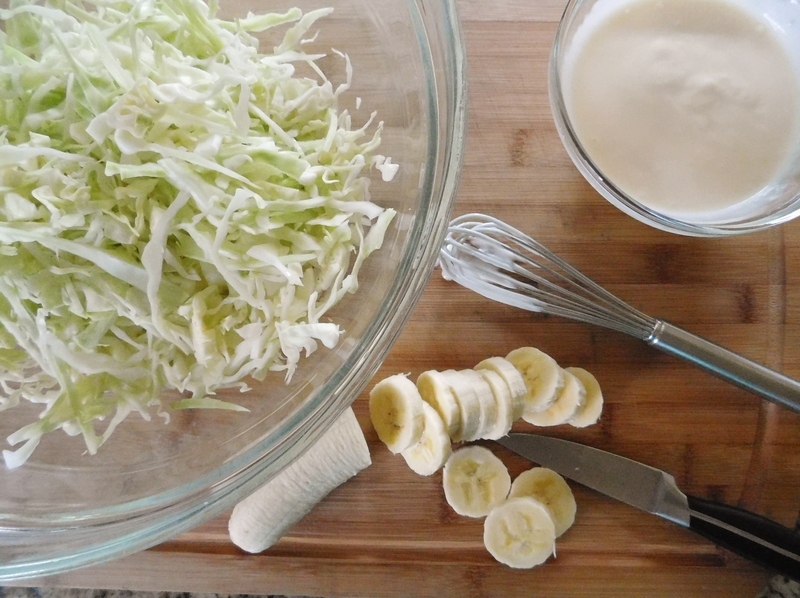 You can use a food processor to shred the cabbage, or hone your shredding skills with a knife. I used bananas for this salad, but grandma did occasionally use pineapple. Pineapple was probably for really special occasions. This is definitely an unusual flavor combination. Not everyone in my family liked this made with bananas. 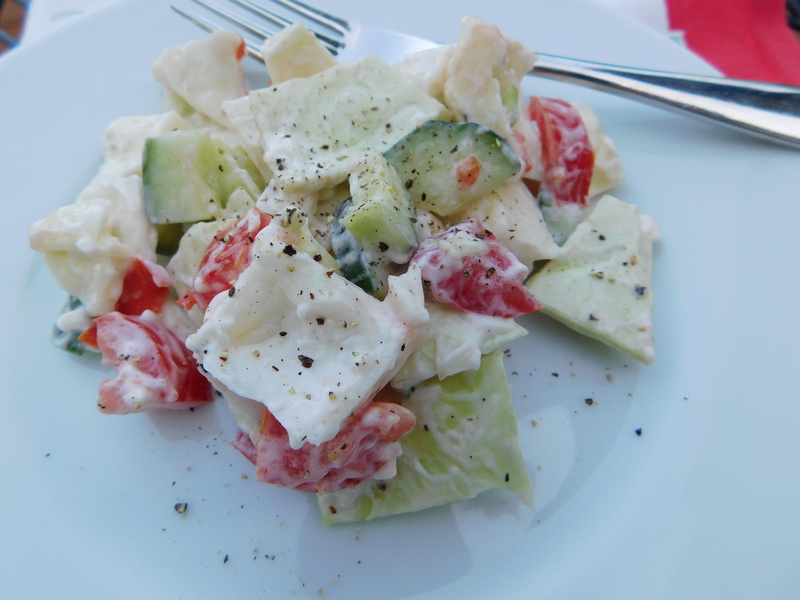 This salad is economical, it’s tasty, and it goes with any main dish. It brings back a lot of memories for me of dinners at Gramp and Grandma’s with the family around the dining room table laughing, telling stories, and being together. It was so much fun. Those are memories I’ll always cherish. We’re big time into summer now. It’s time to make all the old summertime classics that our moms and grandma’s have made for years. They’re such an integral part of us and our summer memories. 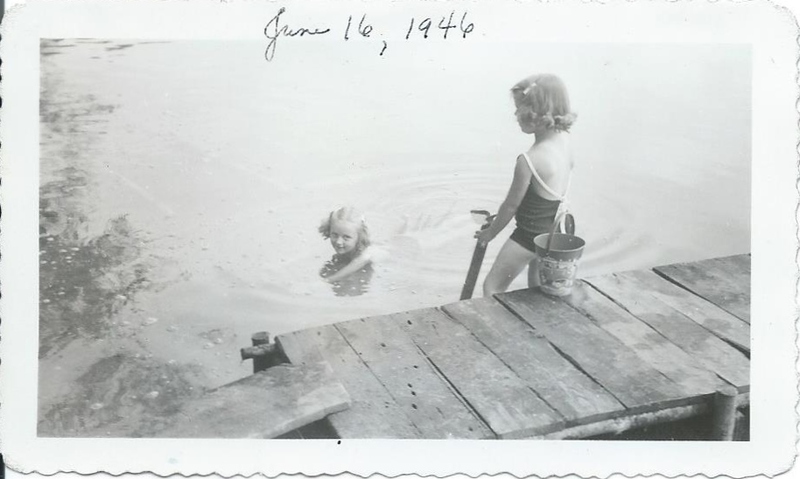 Speaking of memories, I had to share this photo of my mom and her cousin on a family trip to the lake from 70 years ago yesterday!!! I love this photo so much – I can’t stand it!!! I love the old dock and the sand pail sitting there, and look at the old board going from the sandy shore up to the dock – no need for the adults to get their shoes wet! My mom is in the water, not wanting to get her hair wet. (Some things never change – she didn’t like to get her hair wet when we lived at the lake, either, but that was the 1970’s and the hair-do’s didn’t allow it.) Maybe they were told at the time to NOT get their hair wet! This photo looks like it could have been taken yesterday, even though my mom was 6 and her cousin was 5 (Oops! I’m giving away their age!)! These two cousins were more like sisters and had so much fun together! They’re just so stinkin’ cute! 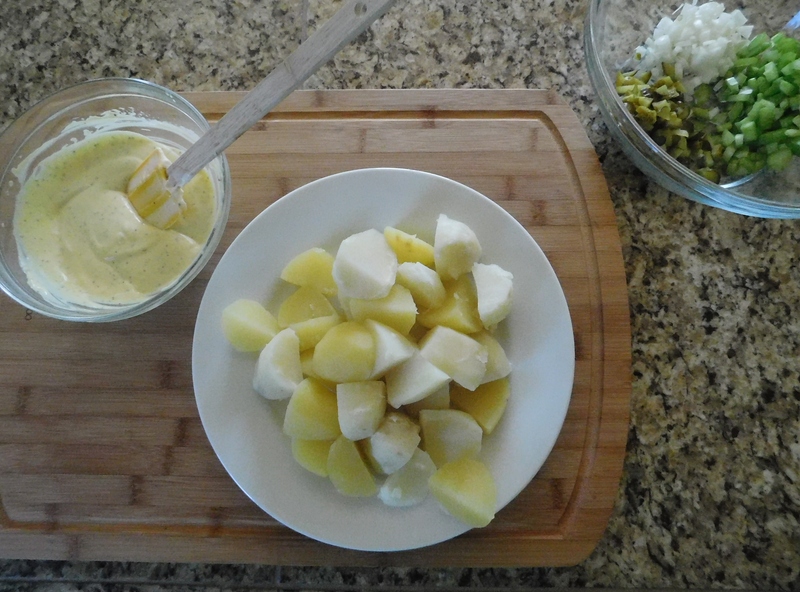 The classic recipe we’re making today is Potato Salad. 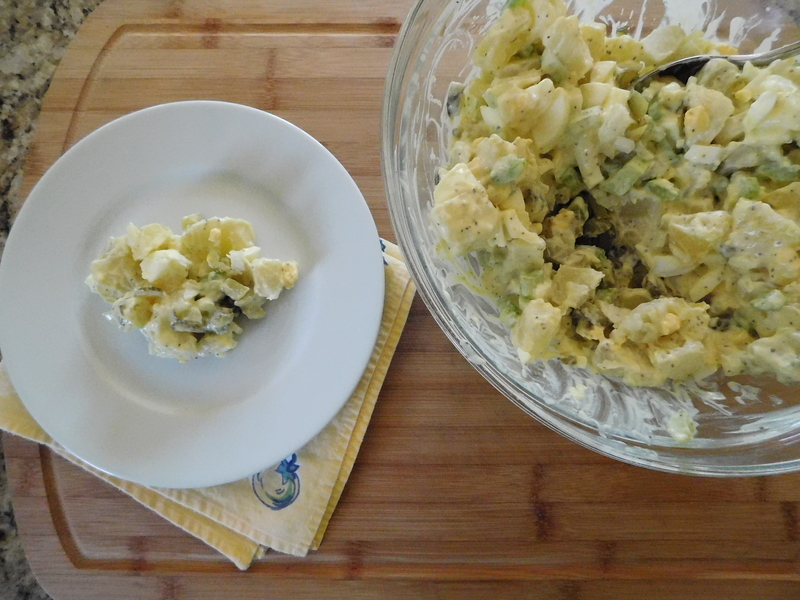 Every family has their own favorite potato salad with those special little things their mom or grandma did to make it taste so good and make it so memorable. 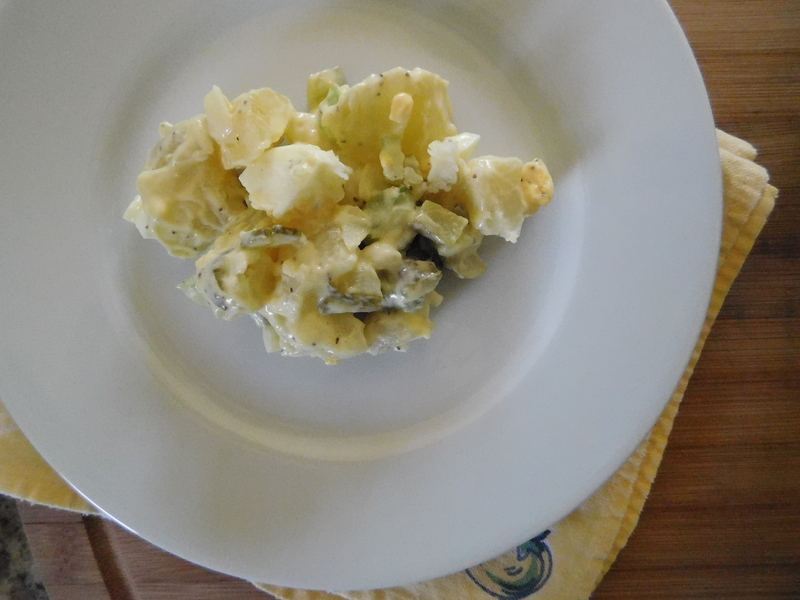 Both of my grandmas made great potato salad, but today I’m sharing the one from this grandma. 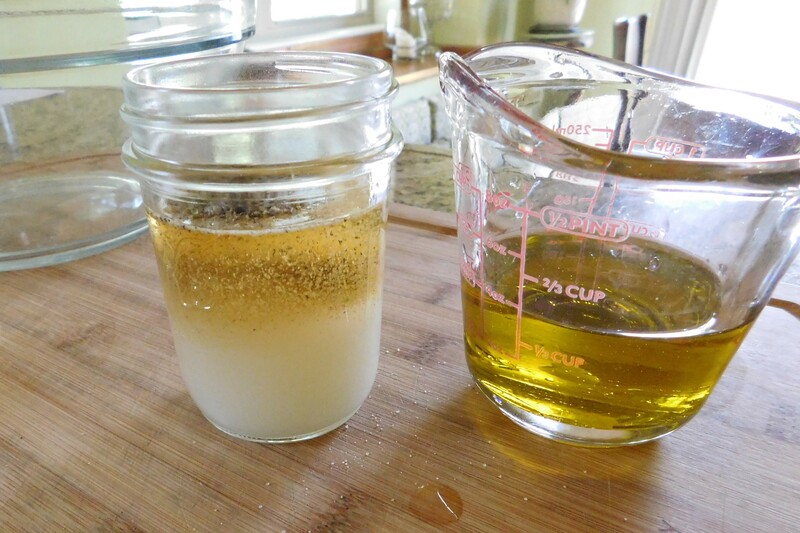 I’m going to share one of her big secrets with you – Grandma made this one with a secret ingredient – pickle juice! Now this may not be a big deal to some of you because you’re saying to yourself, “my mom or grandma did that, too!” Yes, that may be, but did they probably didn’t make it with this family secret in it – my grandma’s special Sweet Pickles and their juice which I shared in an earlier post. You CAN use regular dill pickle juice, but it just isn’t the same. If you’re interested in trying out this family secret – I recommend making a jar of Grandma’s Sweet Pickles first, and use those pickles and juice in a batch of Potato Salad. I have been making this my whole life, so I don’t have a card for this. I’ll just have to type it out. Peel and boil until tender, 6-8 red potatoes (I happened to have russets on this day, but I usually use red). Let them cool and then slice them. Boil 2-3 eggs, let them cool, and chop them. 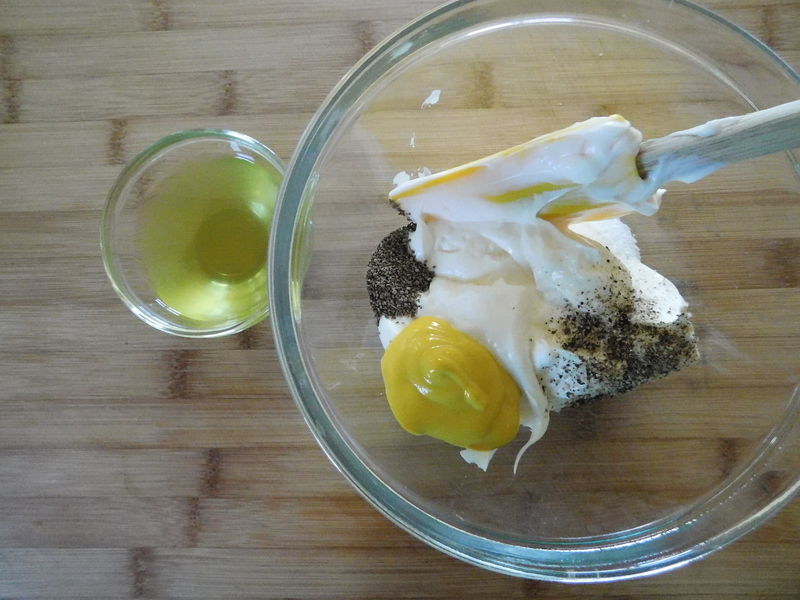 Add more mayonnaise or pickle juice depending on how moist you like it. 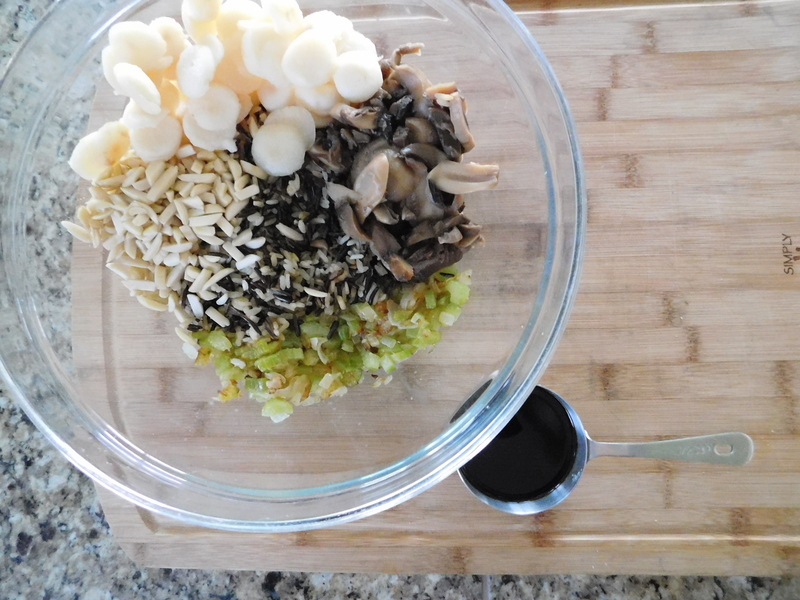 Mixing up the dressing ahead of time helps in the combining later. Let the potatoes cool before trying to slice them or you will end up with very hot hands. 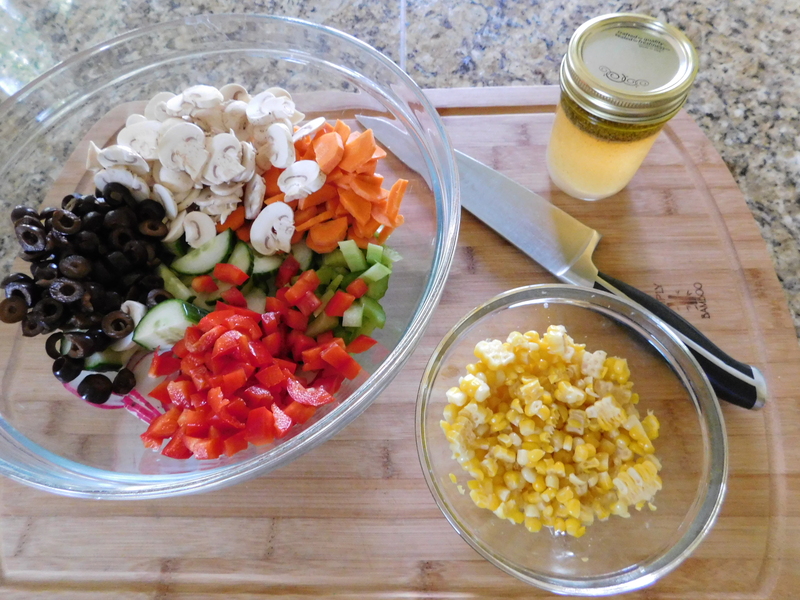 Everything is chopped and in the bowl and the dressing is all mixed up – ready for the final combine! Oh my gosh, this brings back all of those summer memories of picnics and dinners at both of my grandparents houses and of summer at the lake! Make sure when you’re making your own summertime classics that you write down all of the steps so your kids can make them just like their mom and grandma’s did! The next generation needs to know all of those family secret ingredients! It’s so important to keep all of these traditions alive, no matter what time of year it is! 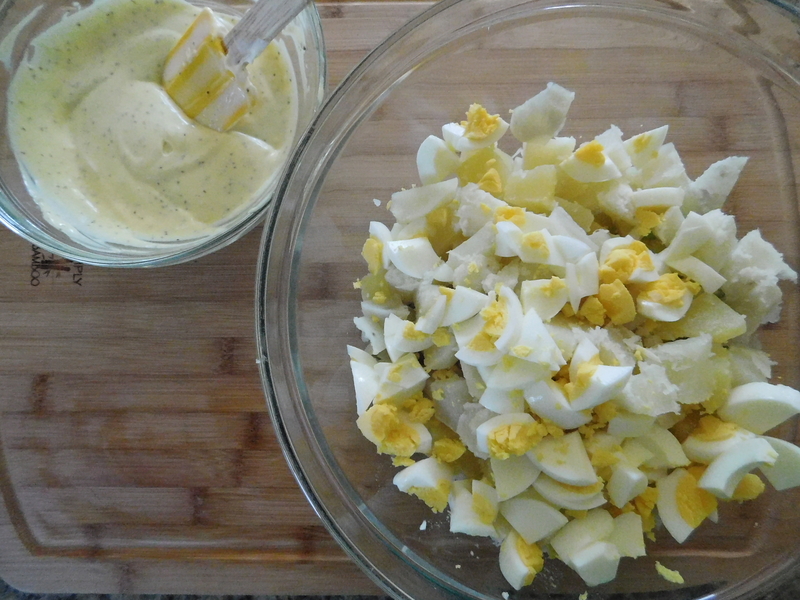 This salad goes with anything from the grill, so make up a batch and head out to the lake!